Terra Seismic is an international team of scientists with over 30 years of experience in developing effective technologies & methods in seismic forecasting. Earthquakes & tsunamis are number one global natural disaster. They killed 680,000 people just over last 14 years and hundreds of millions more people were affected. Earthquakes are understood to be unpredictable. Well, this isn’t the case anymore. We use US, European and Asian satellite systems and can detect different abnormalities that occur before strong earthquakes. So, thanks to our unparalleled Satellite Big Data technology, in many cases we can predict major (M6.2+) earthquakes 2-5 months before they occur in all key seismic prone countries. 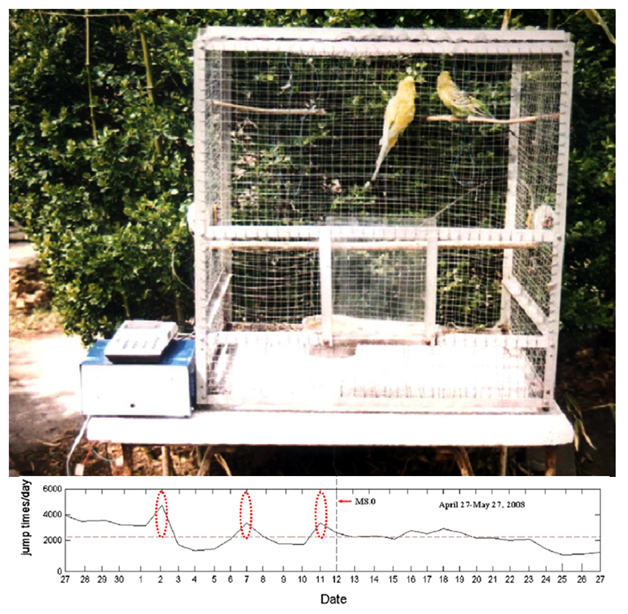 Our technology has been used to retrospectively test data gathered since 1970 and our systems successfully detected about 90% of all significant quakes over the last 48 years. So, earthquake prediction problem has been mainly solved. 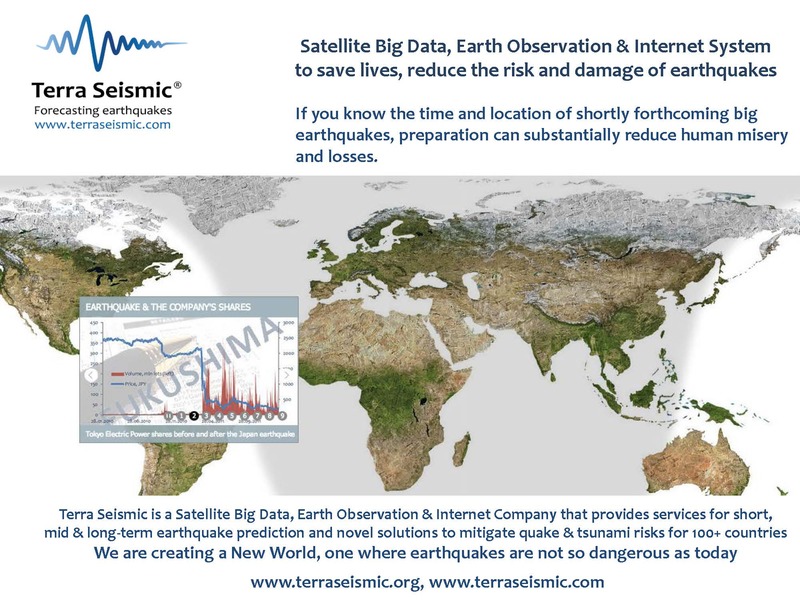 Terra Seismic is a Satellite Big Data, Earth Observation & Internet Company that provides services for short, mid & long-term earthquake forecasts and novel solutions to mitigate quake & tsunami risks for 100+ countries. Today earthquakes strike suddenly, killing people and causing huge material damages. However, we know that earthquakes are caused by forces well described by geophysics and therefore can be successfully predicted to ensure preparation, to minimize damage and loss of life. 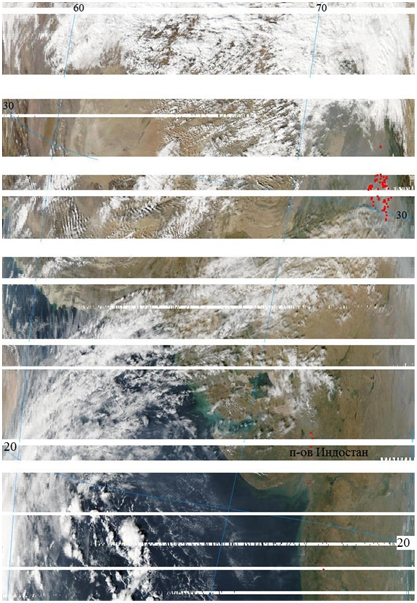 Our mission is to improve already existing satellite earthquake forecasting methodologies and to establish these systems for all seismic prone countries. We have capacity and want to create a new, more suitable Planet, a New Earth, one where earthquakes occur, but they are not killing people anymore and property damages are efficiently insured. Earthquake forecasting is one of most ancient skills known to mankind. 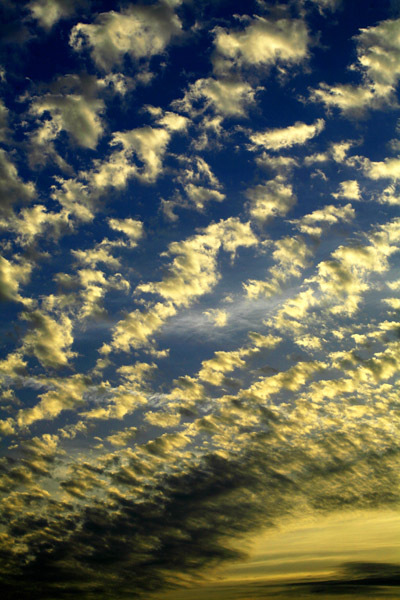 The first known forecast was made by Pherecydes of Syros about 2500 years ago: he made it as he scooped water from a well and noticed that water, usually clean, had become silty and muddy. The earthquake did happen indeed two days later, bringing fame to Pherecydes. 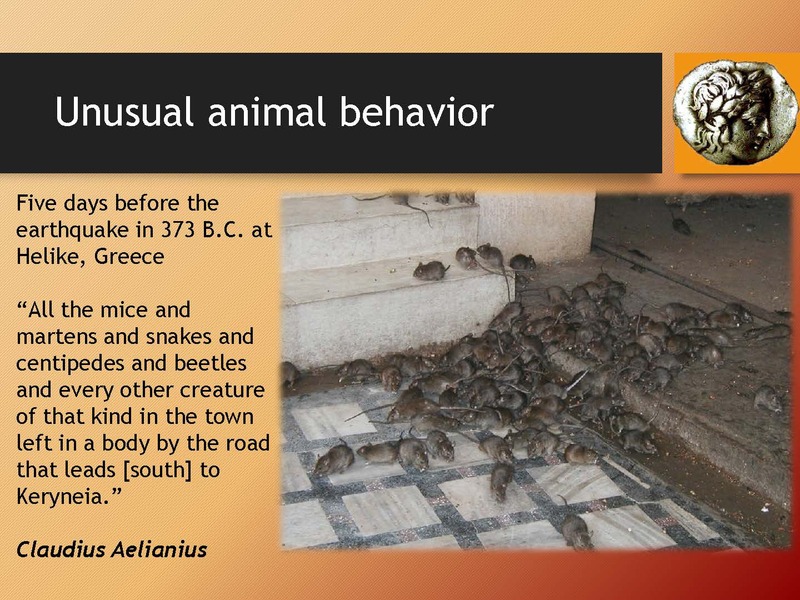 In 373 BC, a strong earthquake and a tsunami caused by it have destroyed Greek cities of Helica and Bura. 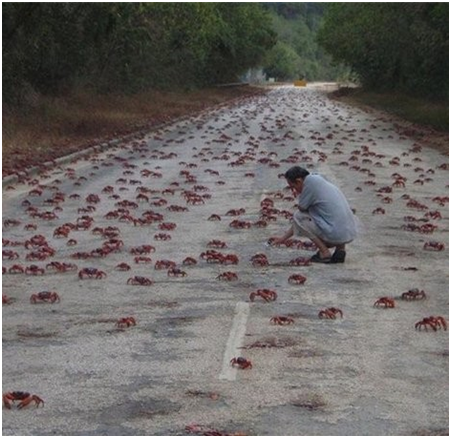 Five days before the quake, all mice, martens, snakes, beetles and other animals left the city, covering the entire road. People of Helica were stunned by this phenomenon. 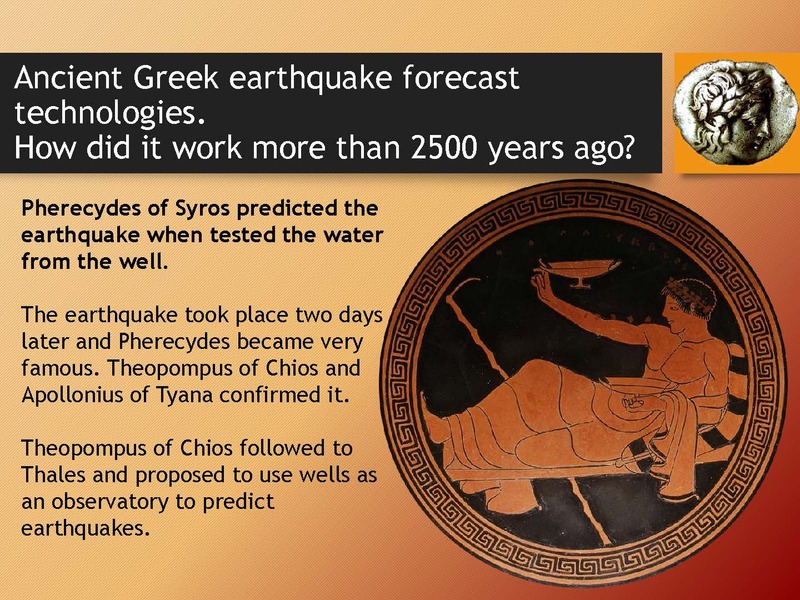 In ancient Greece, earthquake forecasting was a recognized science. 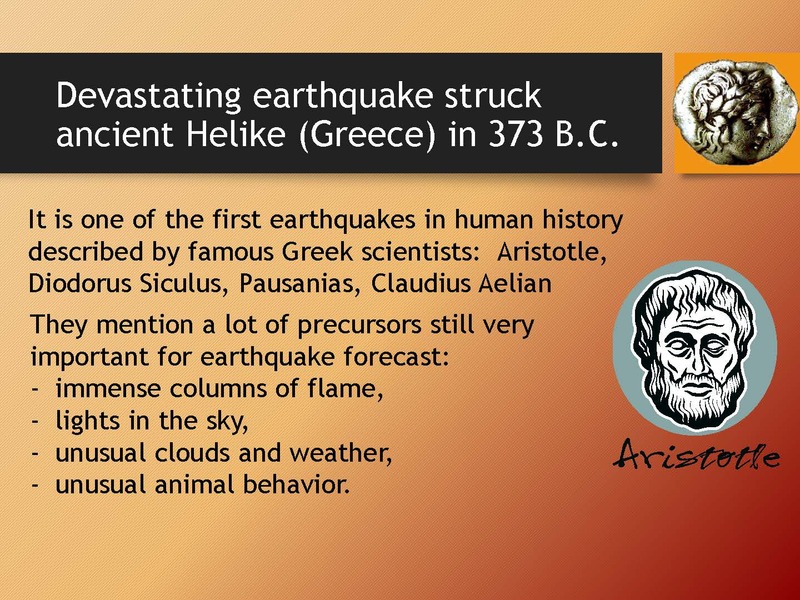 Ancient Greeks had no doubts that strong quakes can be predicted. 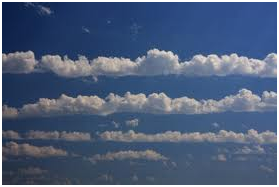 Plinius lists several signs of a coming quake, known to sailors: waves without wind or sudden strong wave hits against the boat hull, disgusting smell in the air, a thin line in the sky (or a long stripe of clouds). 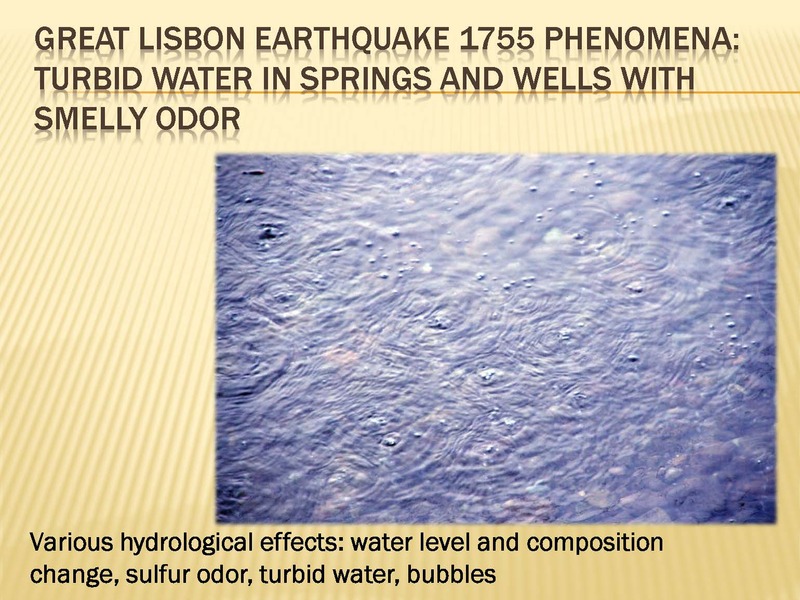 Water in wells becomes silty and bears an unpleasant smell. • Spring water becomes turbulent and breaks out to the surface. 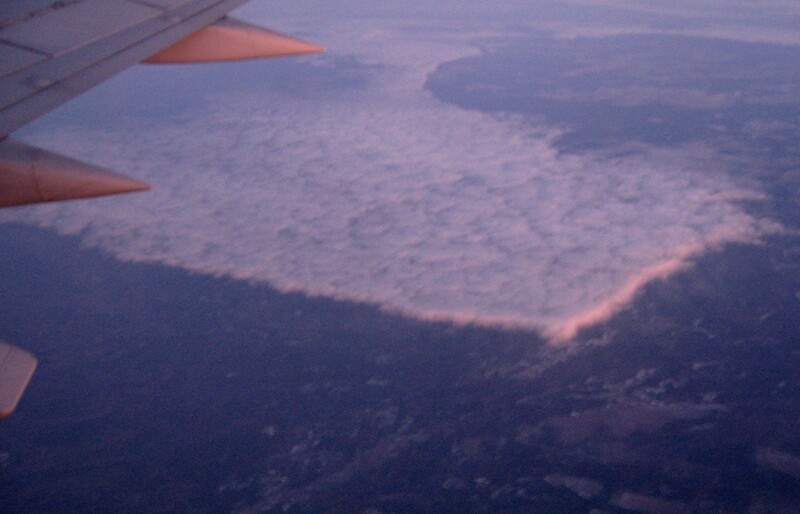 This phenomenon was observed before a famous quake in Ferrara in 1570. The Po river at that time also suddenly became silty and turbulent. • Before the quake, the clarity and calm in the air suddenly disappear. The quake that happened in the Neron times in Campagna has been forecast due to this sign. • Birds are worried and do not land, as in was with the quake forecast by Anaximen. 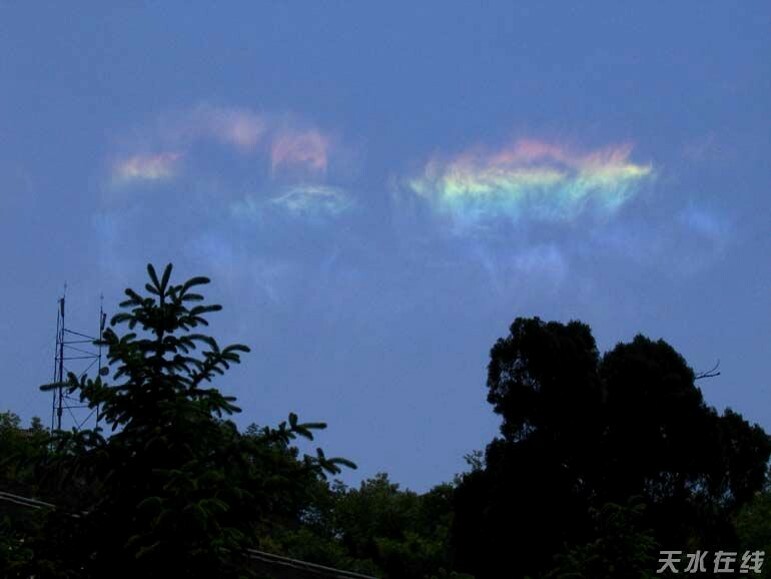 In medieval China, unusual form and colour of clouds also was believed to be a sign of a coming earthquake. A Japanese Samurai noticed that water in a fountain on a farm, usually fully transparent, became muddy on the day of the M6.6 earthquake in Taktat (currently Niigata prefecture) in 1751. He discovered that water in several other fountains in the area became muddy and successfully forecast an earthquake for that night. 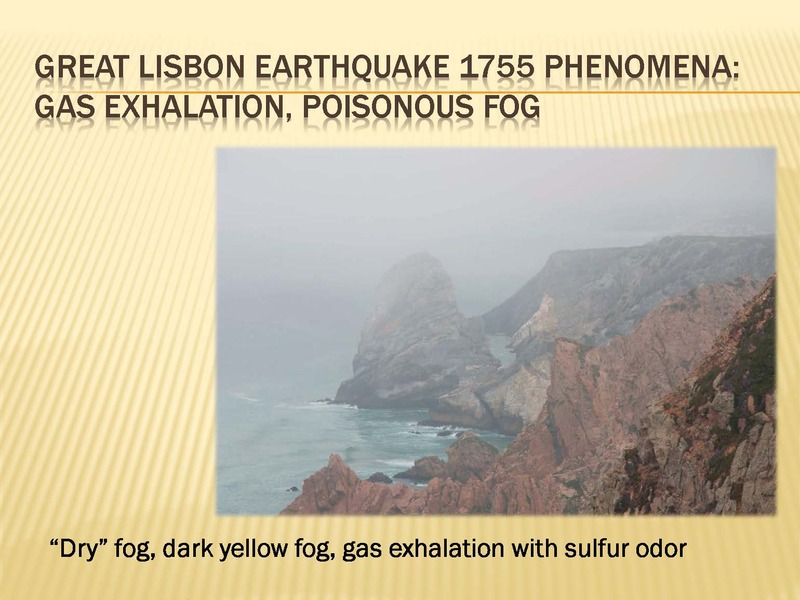 On Nov. 1, 1755, an enormous earthquake destroyed Lisbon. One witness wrote: After Nov. 24, I felt unease because I observed same signs as at noon Oct. 31, i.e. 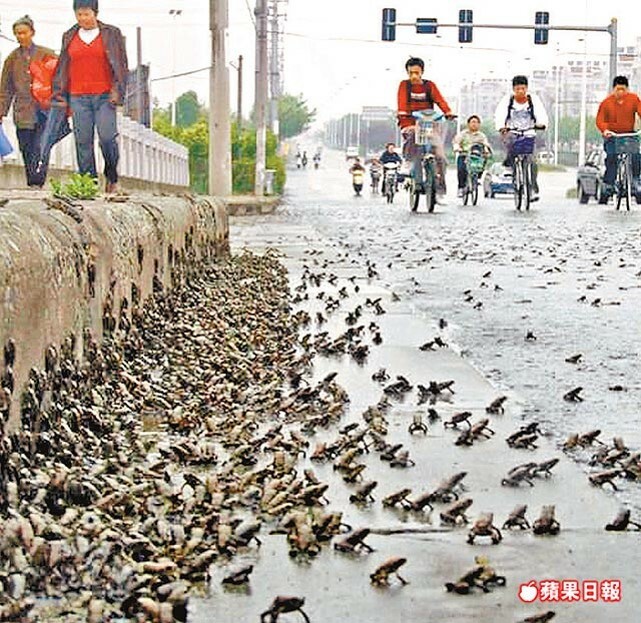 bad weather, northern wind, fog coming from the sea, yellow muddy water in the fountain… Between midnight and morning of Nov. 25, I felt five strikes”. 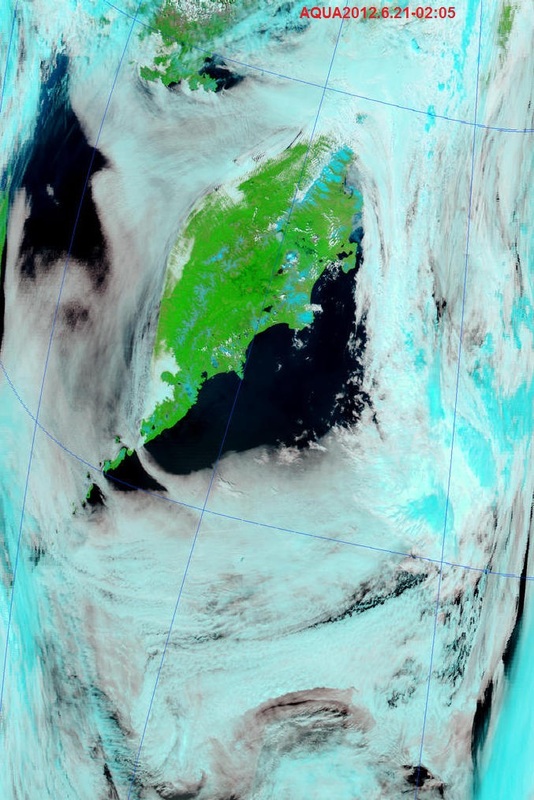 On Nov. 24, same meteorological signs were observed as on Oct. 31, before the great quake. 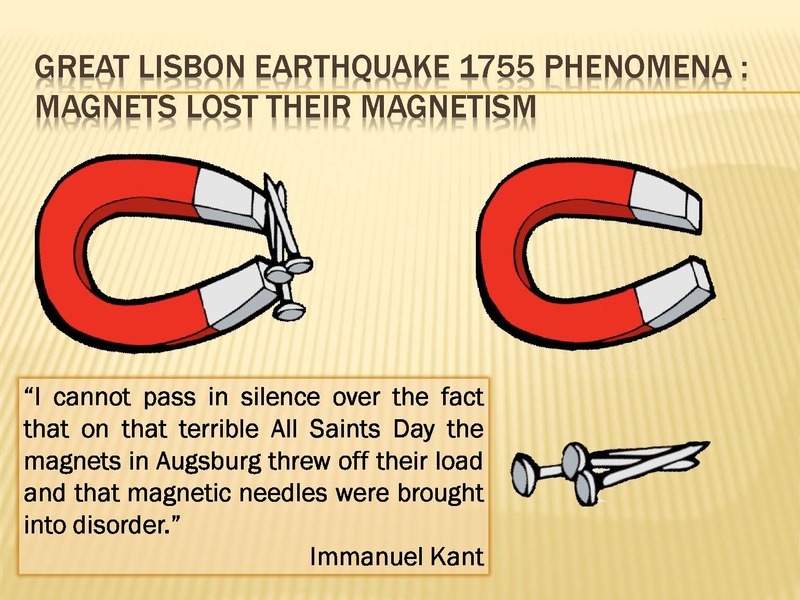 Emmanuel Kant wrote: “Eight days before the strike, land near Kadis (to the south from Lisbon, on the Atlantic shore) was covered by worms which were coming to surface, driven out by soil fumes. 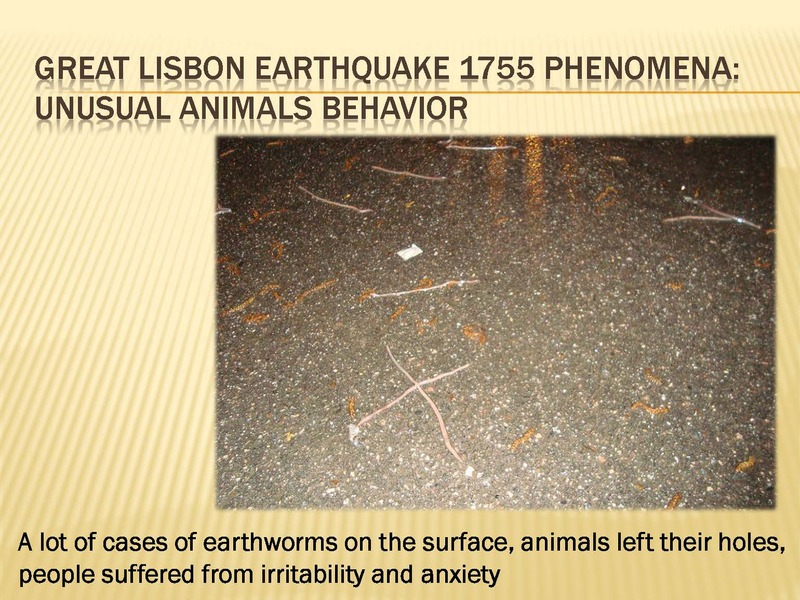 In cases of some other earthquakes, powerful lightning strikes and gloomy mood of animals were the signs. 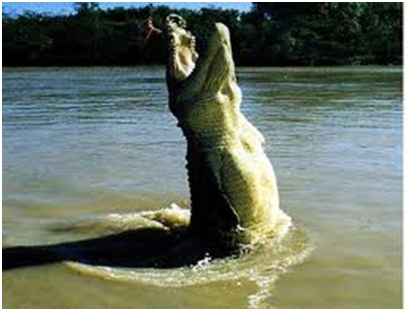 People suffered from nervous irritation and worry”. 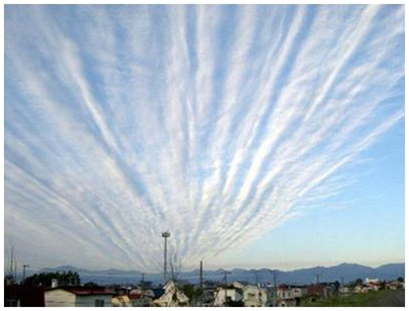 With regard to the 1802 earthquake (M=6.6) in the Sado island (Niigata, Japan) in the Sea of Japan, witnesses wrote: “Before the quake, a strange wind is rising from the earth. 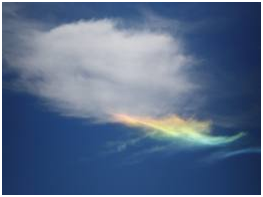 It is called Chiki (literally, “air from earth”). No one of miners, working in gold mines on the island, has been killed or injured in the quake. The miners said that they knew about the coming quake three days in advance. They have noticed the Chiki, just as they had noticed it many times before, and so no one descended to the mine on the day of the quake”. In the days before the Edo quake of 1855 (Tokyo, Japan, M=6.9) a group of 19 sailors went into the sea. 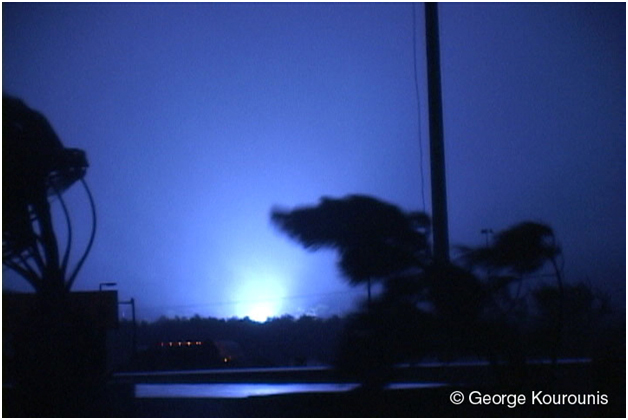 Shortly before the first strike, they suddenly noticed a bright glow of the sky in the southeast. Soon after, a roar came from under the water. Immediately, bright flames and roars filled the sky. There is an account of an old guardian who predicted the Edo quake of 1855. On Nov. 11, as soon as the sun started to go down, he looked around and told other laborers that a strong earthquake would happen that night. Most laborers in the samurai’s house did not believe the old man. The guardian was sitting with his friends on a straw mat in the courtyard. 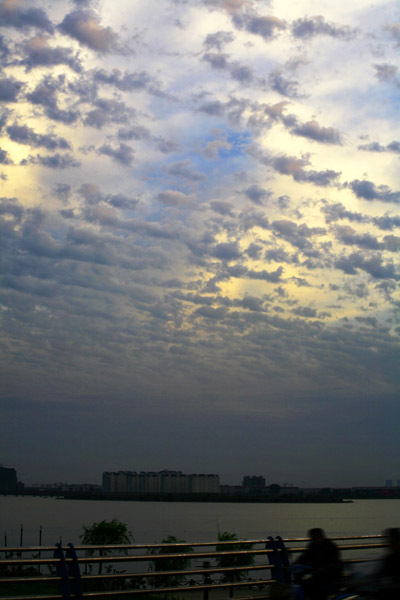 Around 10 pm, a fog descended and clouds covered half the sky. 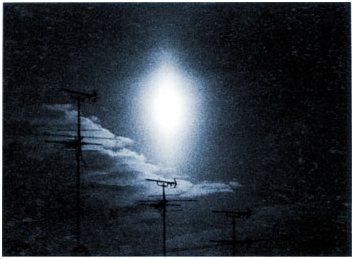 Nevertheless, stars seemed strangely close. Suddenly, the earth started shaking and many houses collapsed. Guardian and his friends,having been prepared, quickly extinguished the fire in the house. The amazed Samurai asked the guardian how he could foresee the quake. 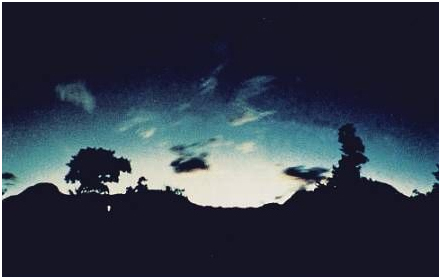 The guardian replied that he survived quakes in 1828 and 1847, and at that time noticed that stars were bright in the foggy sky and seemed to be very close. This time, he observed the same sign so he warned others about the coming earthquake. 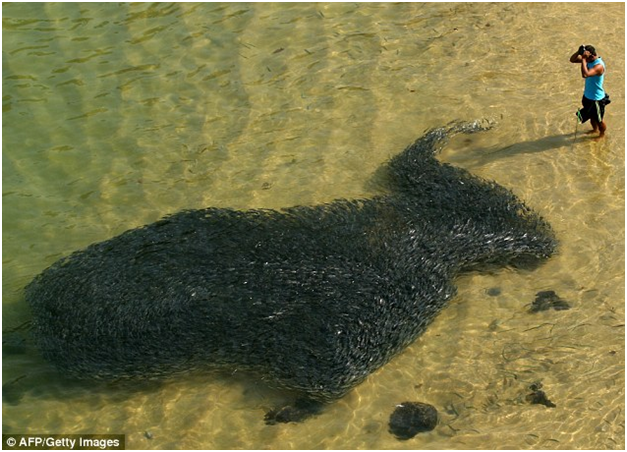 During that November before the quake, many watersnakes came to the surface near the quake epicenter, even despite the cold. About 10 days before the 1855 quake ichicken and roosters became worried and did not come inside the coops. On the morning of the Edo quake in 1855, a samurai noticed that water in a well became muddy and salty. He suggested that the quake was coming but nobody believed him. In October 1948, several seconds before a powerful earthquake in Ashgabat (Turkmenistan), a dog tagged a sleeping girl by her nightgown outside of the house. 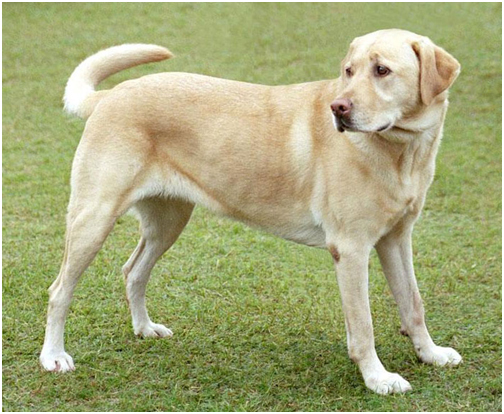 The father, thinking that the dog got rabies, grabbed a rifle and ran after it. In a moment, the house collapsed amid a roar. 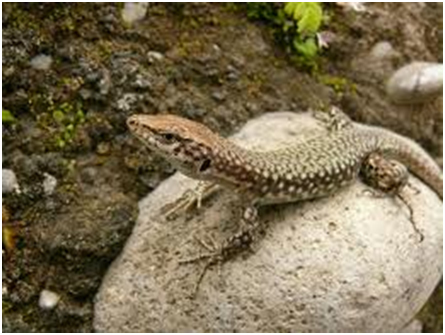 Two days before the quake, Turkmen elders tried to warn a local administrator, noting that snakes and lizards had crawled out of their holes (the warning was, of course, dismissed). 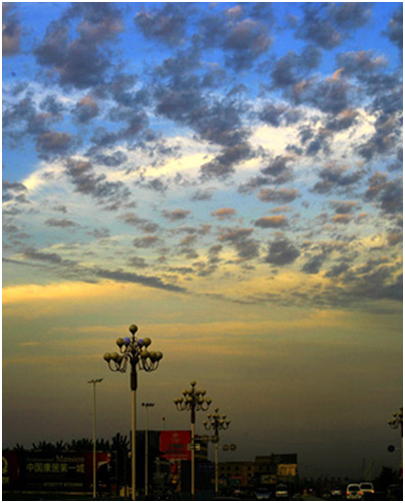 Many locals noted glowing of the sky. In February 1975, a strong quake destroyed the city of Haicheng in China. An advance warning (in one day before the quake) from the authorities has averted the big loss of life. So far, this is the only instance of a successful mass evacuation before a powerful earthquake. 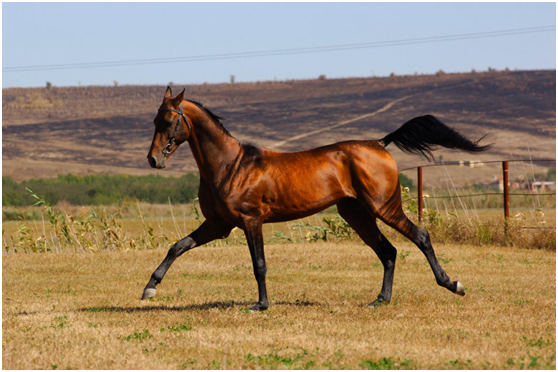 Some time before the event, some quake signs were noticed: strange behavior of animals and a strong foreshock that destroyed several buildings. In November of the previous year, apricot trees bloomed. 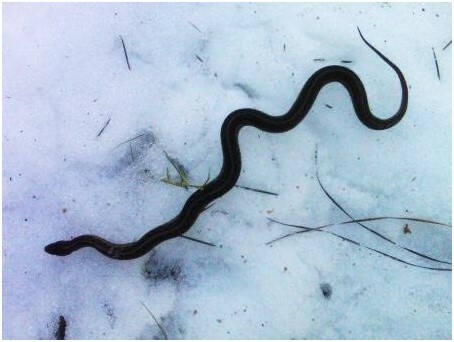 In winter of 1975, snakes suddenly crawled on the ground surface – amid the snow, even though cold-blooded snakes should have been sleeping in their shelters. It turned out that the snakes predicted the strong Haicheng quake one month in advance. Signs also included a strange smoke 2 meters above ground, with a smell of garlic and sulfur, as well as fireballs. Several people fell ill. In 2017-2019 we gave presentation on Terra Seismic to over 150 university professors. After these presentations, 150 qualified nominators – university professors and MP from 60 countries (Italy, San Marino, Greece, Spain, Russia, Armenia, Kazakhstan, USA, China, Japan, Mexico, India, Canada, Turkey, Georgia, Ecuador, Vatican, Bolivia, Colombia, El Salvador, Panama, Peru, Brazil, Costa Rica, Nicaragua, Haiti, Azerbaijan, Serbia, Slovenia, Fjij, United Arab Emirates, Indonesia, Netherlands, Philippines, Honduras, South Korea, Uruguay, Bulgaria, New Zealand, Argentina, Taiwan, Romania, Chile, Dominican Republic, Nepal, Iran, Guatemala, Belarus, United Kingdom, Bangladesh, Macedonia, Kyrgyzstan, Uzbekistan, Algeria, Portugal, France, Singapore, Australia, Sweden and Bosnia and Herzegovina) nominated us for 2017, 2018 and 2019 Peace Nobel Prizes. We have support from reputable professors from the famous European/Asian/US Universities, such as the world’s oldest Pontifical Angelicum University, Rome (est. 1222), Sapienza University of Rome (est. 1303), University of Turin (est. 1404), University of Catania (est. 1434), University of Barcelona (est. 1450), Durham University (est. 1832), University of Westminster (est. 1838), Istanbul University (est. 1846), Università Ca' Foscari Venezia (est. 1868), University of Auckland (est. 1883), University of Tehran, California State University, Northridge etc. Earthquakes & tsunamis are number one global humanitarian problem and Peace Nobel Prize is a humanitarian Prize. 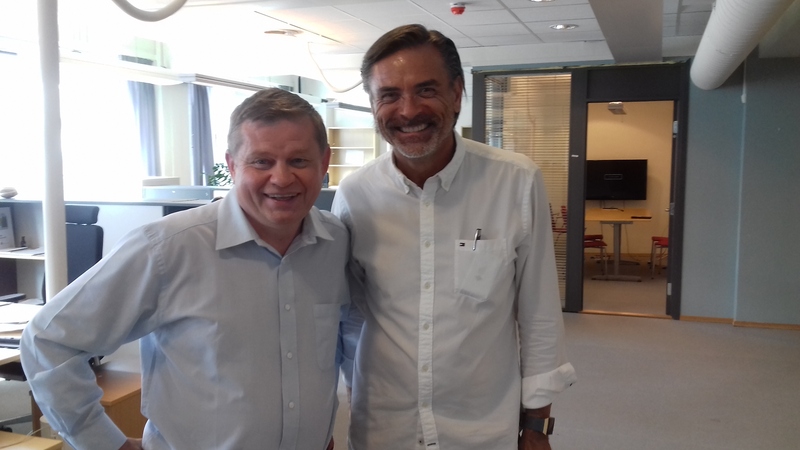 Preamble of Alfred Nobel’s Will says that Nobel Prizes should be awarded “to those who, during the preceding year, shall have conferred the greatest benefit to mankind”. Preamble is a key legal part of Alfred Nobel Will and should be applied for Peace Nobel Prize as well. 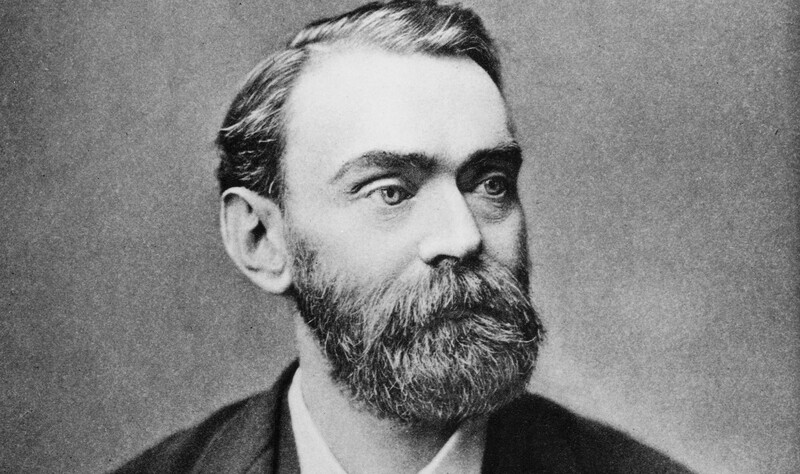 Alfred Nobel was an inventor and intended Nobel Prizes should be awarded for “the most important discovery or invention”. Terra Seismic’s discovery that major earthquakes can be predicted is the historic fit with Alfred Nobel’s Will. Peace Nobel Prize is also often given to persons who fight for human rights and/or for their efforts in humanitarian areas. Right for life is the paramount human right. Terra Seismic is launching global humanitarian projects to protect lives of billions of people in seismic prone regions. So, Terra Seismic Nobel Prize will be brilliant fit with this tradition as well. Finally, Alfred Nobel’s idea for Peace Nobel Prize was to promote globally and support people thanks to whom massive loss of human lives would be prevented. Wars kill a lot of people and earthquakes & tsunamis are actually wars against mankind. Earthquakes kill 3-4 million people every century and thanks to Terra Seismic millions of lives will be saved every century and huge economic damage will be prevented. Positive impact from Terra Seismic’s work will last thousand years for all future generations. In the whole history of Peace Nobel Prizes, it’s difficult to find cases that fit so properly and simultaneously all above-mentioned criteria. Nobel Committee decision to award Terra Seismic will help save millions of lives, will be welcomed by billions of people globally and will start a new, more positive era in human history. Please see some nomination letters submitted to Norwegian Peace Nobel Prize Committee by university professors from many countries below. Earthquakes & tsunami kill estimated 1.5-2.5mln people every century and hundreds of millions more are affected. Terra Seismic (Company) was established in Jersey in 2012 with the purpose to greatly mitigate the above most dangerous natural disasters. In recent years, the Company received global promotion and recognition. The Company is establishing relationships with authorities and Red Cross organizations in many countries, providing information to aid saving human lives and improve disaster risk reduction. To confirm its ability to predict major earthquakes, Terra Seismic will present to Nobel Prize Committee its unique technology, 300+ cases (different stages of development) of major quakes for 1970-2016 period and current real global forecasts. So, even very skeptical and non-specialized observer will be completely convinced by the Company’s ability to predict major earthquakes. Awarding Terra Seismic and its scientists by well-deserved Peace Nobel Prize 2017 will create a unique opportunity to start saving human lives from earthquake and tsunami already in 2017. Good morning and greetings from Spain. When I was 12 years old, I suffered one the most tremendous earthquake in South of Italy. More than 3.300 people lost their lives. We had our house damaged, but no casualties. I still keep the image of the buildings collapsing and people running everywhere, and the suffer the days after waiting for another “big event”. I cannot tell you how many winter nights we spent without sleeping and going around the town to try to escape “something”. Last august, we went to visit some friends in Ascoli Piceno, center of Italy. 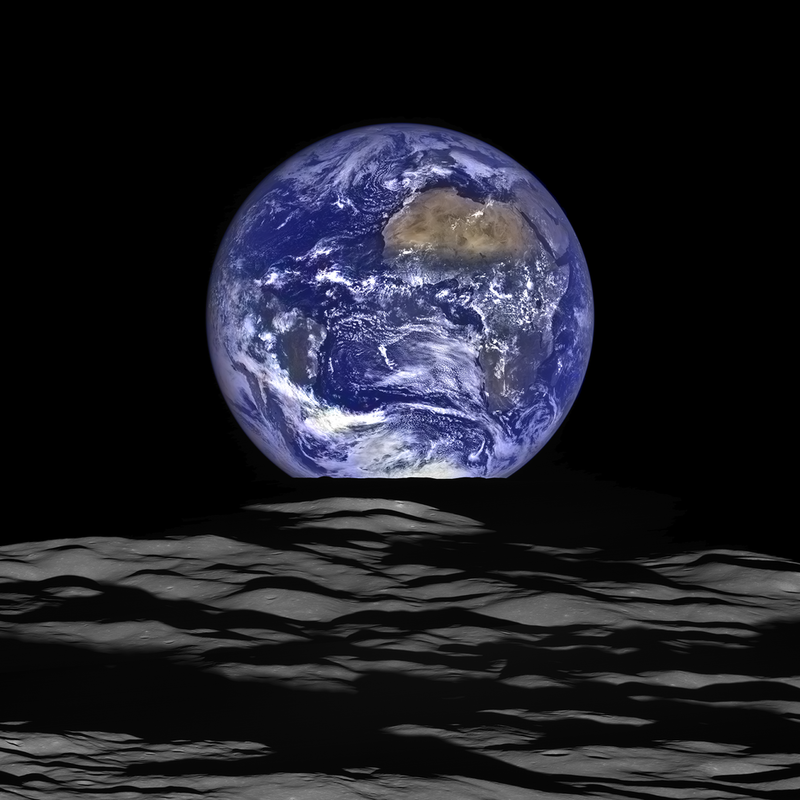 The first night, at around 04:00 in the morning, the earth started shacking. Again. A lot of friends of us lost their houses, some of them lost some families. Also important to note is how many businesses were forced to shut down and loss of jobs, and how many historical buildings were destroyed. I am telling you this because I understand the importance of being able to make predictions on earthquakes. I know how awful and dangerous are those kinds of natural disaster. So, when I read about a UK company Terra Seismic that has developed a forecasting model, I was both fascinated and intrigued. I still remember the day after the big shake, and I remember that we developed a sort of instinct to feel the shake coming. I know, it seems a little bit strange, but I can assure to you that it is possible. 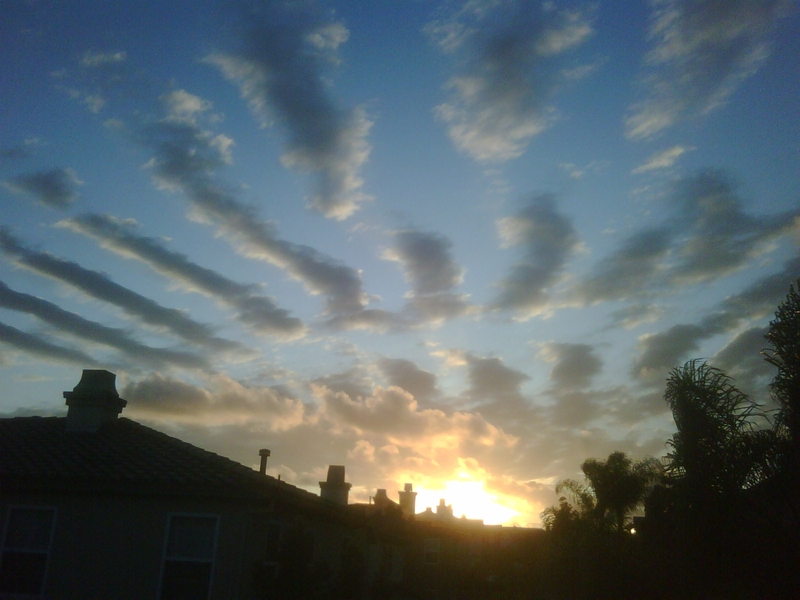 Nature has given to us the possibility to make predictions. So, intrigued by the company, I started collecting information about them, and I start making a deep analysis. I visited also the company. I checked the system they have developed, and I really believe, from a scientific point of view, that it is a reliable one. 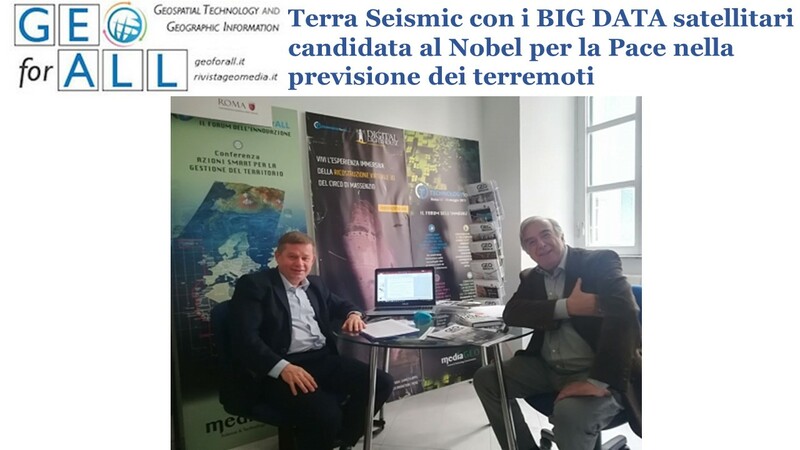 Having said that, I hereby wish to register my support for the company Terra Seismic and its scientists to be awarded the Nobel Prize, 2018 for their extraordinary achievements in making earthquake predictions, being able to prevent the loss of millions of people and save the economic systems of the areas hit by earthquake. Such exceptional humanistic activity should deserve a Nobel Prize for Peace. The science underpinning Terra Seismic’s earthquake forecasting represents a major breakthrough in what has hitherto been deemed an unpredictable natural disaster. From a socio-economic perspective the devastation and impact from earthquakes is immeasurable. New Zealand, known as the ‘shaky isles’ due to earthquake activity, has borne the brunt of many shocking earthquakes. The Kaikoura earthquake struck just after midnight on 14 November 2016 causing widespread damage, and impacting the lives of thousands of people. 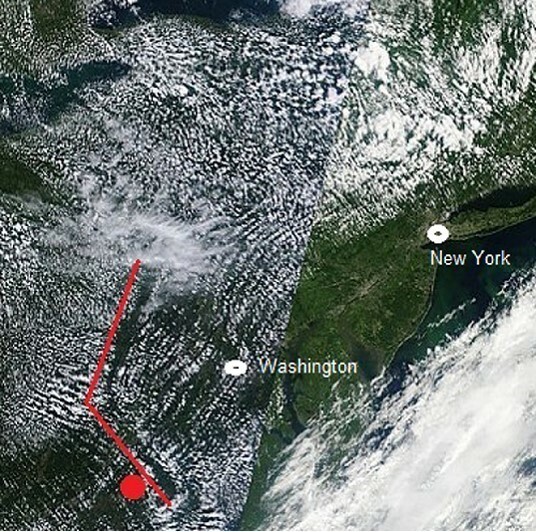 It was one of the most complex earthquake events recorded. As well as the environmental and infrastructural damage, and psychological trauma, there was also significant economic impact on tourism in the area. The city of Christchurch was struck by severe earthquakes in 2010 and 2011. According to the New Zealand parliament ‘The Canterbury earthquakes of 2010 and 2011 have had a major economic and fiscal impact on the region itself and on New Zealand as a whole. The earthquakes rank as one of the most costly natural disasters for insurers worldwide, since 1950. As well as economic impact the health impact has been enormous. The 2011 earthquake caused 185 fatalities, injured 3,129 people, and 1,293 were injured in the aftermath. Psychosocial recovery after a disaster like this can take five to ten years. A key reason for this is that a double blow often occurs. These include dealing with damaged homes, insurance claims, poor roading and lost community facilities. Terra Seismic's humanitarian effort has the potential to save untold lives and protect social, environmental and economic futures for many peoples around the world. 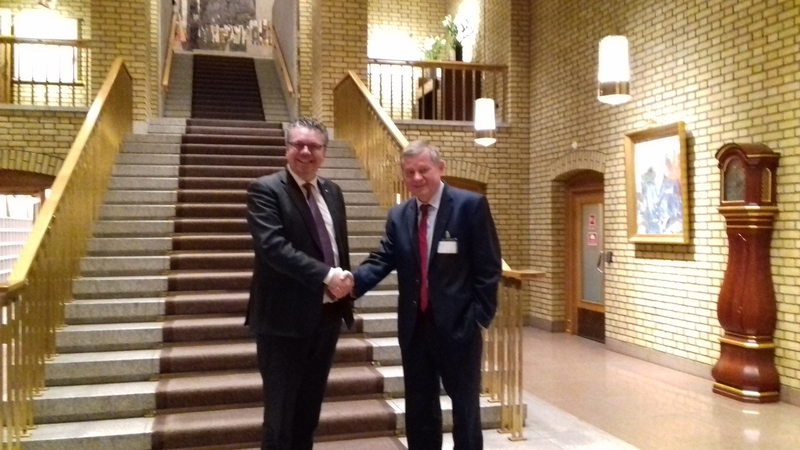 I am honoured to support Terra Seismic and its scientists to bе awarded the 2018 Nobel Prize for Реасе for their extraordinary efforts in earthquake forecasting. I was one of the witnesses that earthquakes have always been part of my life. 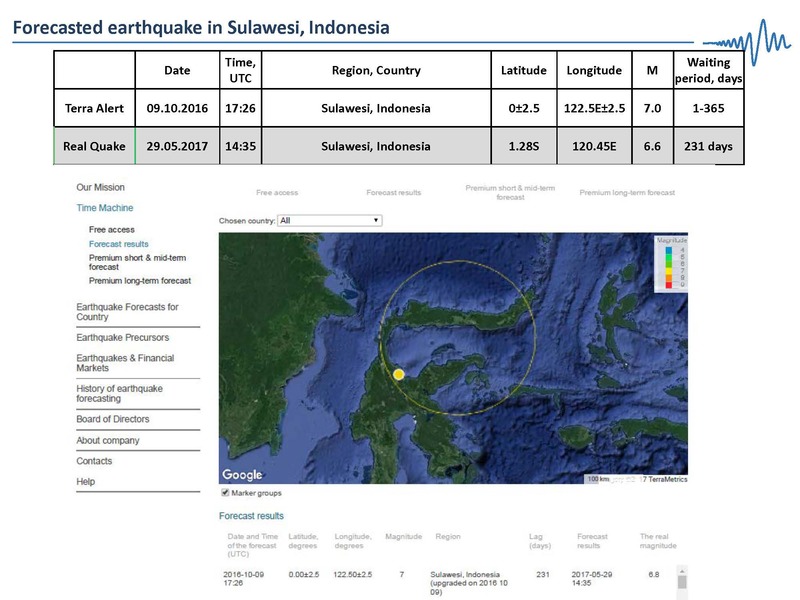 The 2006 Yogyakarta earthquake (also known as the Bantul earthquake) occurred at 05:54 local time on 27 May with a moment magnitude of 6.4. Several factors led to a disproportionate amount of damage and number of casualties for the size of the shock, with more than 5,700 dead, tens of thousands injured, and financial losses of Rp 29.1 trillion ($3.1 billion). With limited effects to public infrastructure and lifelines, housing and private businesses bore the majority of damage (the 9th-century Prambanan Hindu temple compound was also affected). I was on my way to the airport when I feel my car shaking, and saw houses in ruins and rubble. Then, after arriving at the airport, I saw people rush to stay away from the airport buildings and found the collapse of the airport building. 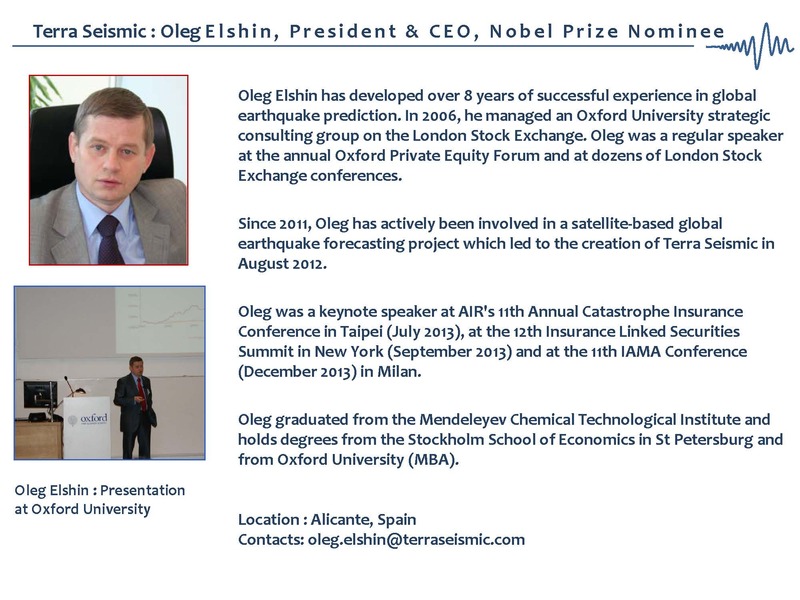 I learned from Terra Seismic, Oleg Elshin that earthquake can be predicted with some high degree of confidence. Should the technology had been available, I think the damage from the quake could be minimized. 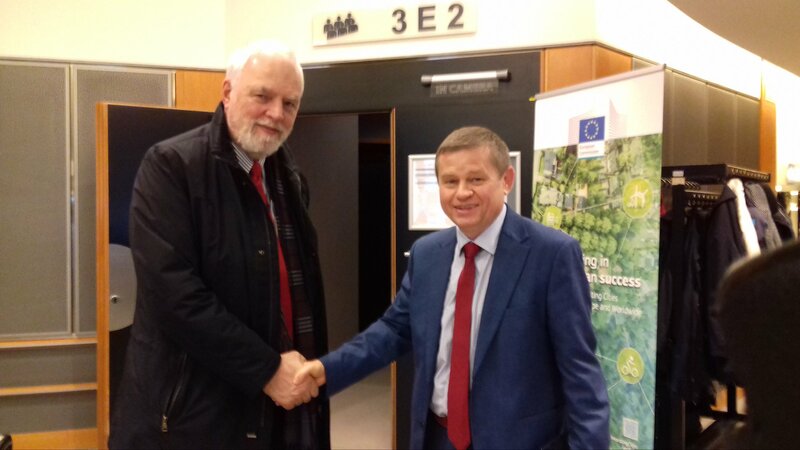 Therefore, I am pleased to register my support for Terra Seismic and its scientists to bе awarded the 2018 Nobel Prize for Реасе for their extraordinary achievements in early and short-term earthquake forecasting that саn potentially contribute to the prevention of human loss, as well as material and cultural costs, due to earthquakes and their negative impact. Such exceptional humanistic endeavor deserves the Nobel Реасе Prize. 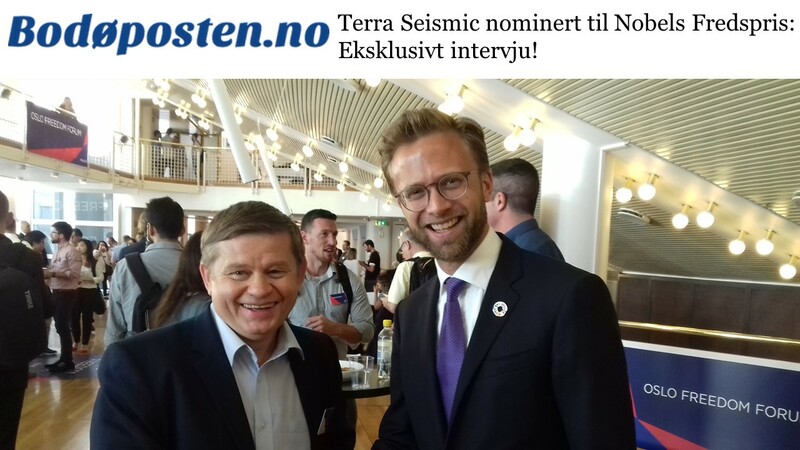 I hereby wish to register my support for Terra Seismic and its scientists to be awarded the 2018 Nobel Реасе Prize, "for their extraordinary achievements in global earthquake forecasting, aspiration and humanitarian efforts to protect lives of more than five billion people living in seismic/tsunami prone areas". Оn average, а magnitude 8 quake strikes somewhere every year and some 10,000 people die in earthquakes annually. Collapsing buildings claim bу far the majority of lives, but the destruction is often compounded by mud slides, tires, floods, or tsunamis. Smaller temblors that usually occur in the days following а large earthquake саn complicate rescue efforts and cause further death and destruction. Moreover, as Роре Francis told nearly 400 children living in the towns in central Italy damaged bу а series of earthquakes this past year: "What you have gone through is an ugly thing, because it's а disaster, and disasters injure the soul". Loss of life, however, саn bе prevented through emergency planning, education, and the construction of buildings that sway rather than break under the stress of an earthquake. But this is even more so through early and short-term earthquake forecasting. 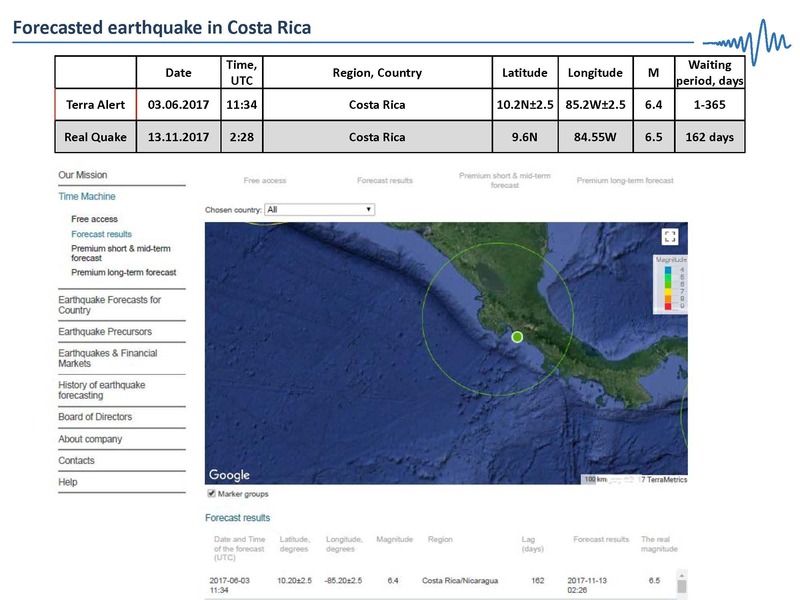 The positive humanitarian impact of Terra Seismic's efforts in reducing the negative impact of natural disasters through global earthquake forecasting is inestimable. Terra Seismic earthquake forecasting will potentially save millions of lives, provide safety and protection for billions, prevent massive material damage and cultural loss, and the most catastrophic consequences of seismic activity, bу early detection and warning. 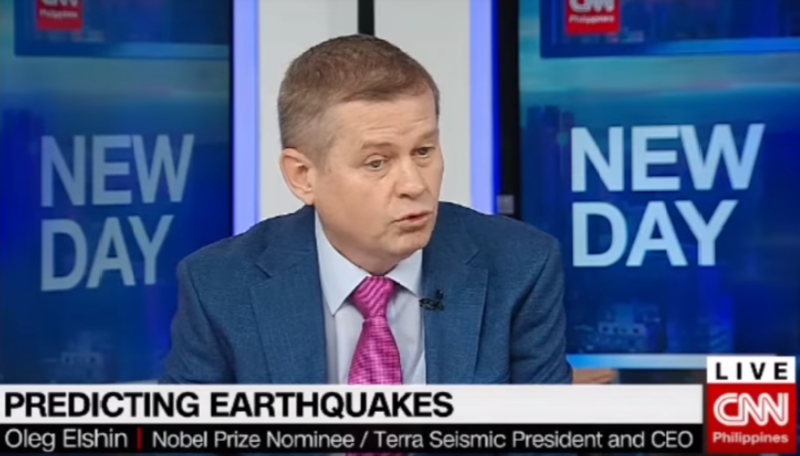 Therefore, I am pleased to register my support for Terra Seismic, and its scientists to bе awarded the 2018 Nobel Prize for Реасе for their extraordinary achievements in early and short­term earthquake forecasting that саn potentially contribute to the prevention of human loss, as well as material and cultural costs, due to earthquakes and their negative impact. Such exceptional humanistic endeavor deserves the Nobel Реасе Prize. I hereby wish to register my support for Terra Seismic and its scientists to be awarded the Nobel Peace Prize 2018, “for their extraordinary achievements in global earthquake forecasting, aspiration and humanitarian efforts to protect lives of more than five billion people living in seismic/tsunami prone areas”. Earthquakes and the resulting tsunamis are among the most devastating natural disasters that plague a large proportion of humanity. Hundreds of thousands of lives have been lost and huge amounts of properties damaged all over the world every year directly because of earthquakes. Yet, mankind has been helpless so far in limiting the damage and injury they cause because heretofore, earthquakes have eluded prediction, preventing governments and private institutions from taking early enough action to minimize their impact. The pioneering and innovative achievement of Terra Seismic, through the work of its scientists, gives humanity hope. By using data analytics (“Big Data”) using data from a network of satellites, Terra Seismic is able to predict major earthquakes in any part of the world with advance warning of one to six months and with around 90% accuracy. This will enable the responsible institutions to formulate and execute pre-emptive measures to mitigate the potential death, injury, and damage from a forthcoming seismic event. The benefit to mankind in terms of lives and property saved is incalculable. And this benefit will continue as long as the earth remains geologically active. This ability to predict and reduce the impact of earthquakes is particularly valuable to us in the Philippines. 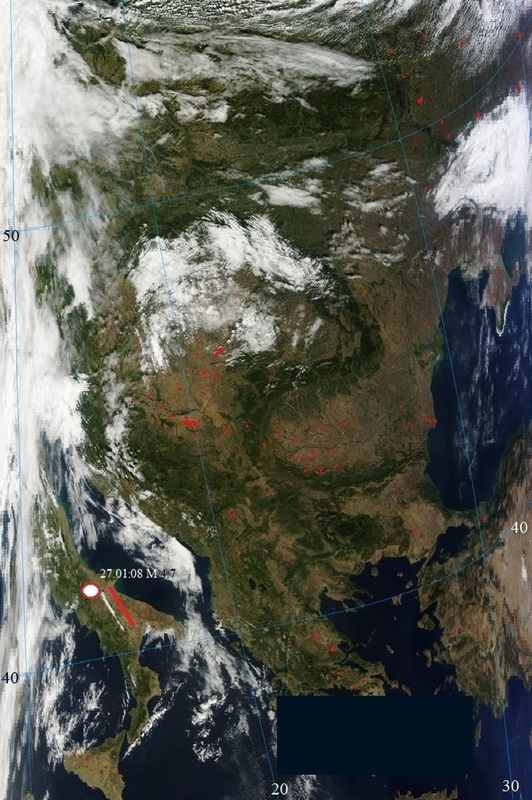 Our country is in the Pacific Ring of Fire, a very geologically active area. We have suffered much from past earthquakes that caught us by surprise. I therefore nominate Terra Seismic and its scientists to be awarded the Nobel Peace Prize for 2018. I do believe they richly deserve this honor and recognition. Living in Italy, I know particularly well the large and tragic impact of an earthquake on territory, society, human life. In centuries we had tremendous damages and human being losses, some of the earthquakes are ongoing also today, with continuous losses in small and big towns and big investments in rebuilding houses and infrastructures. 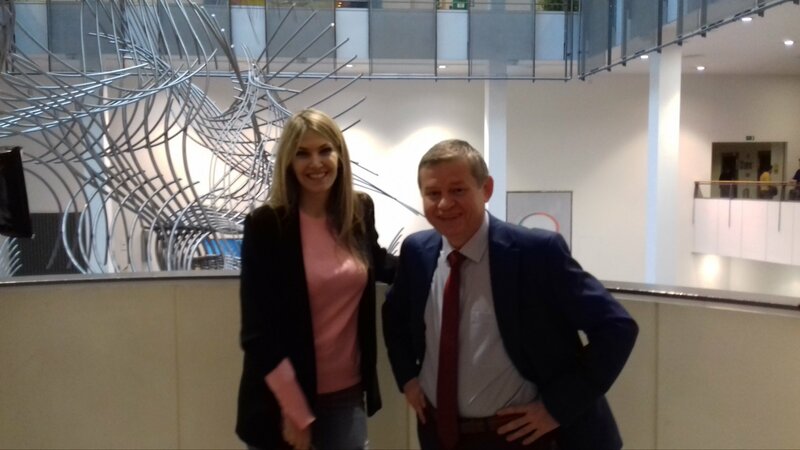 The Republic of San Marino University has a leadership in Civil Engineering Faculty for anti-seismic constructions methods and conceptual tools. Due to the peculiar structure of our territory, from many years we studied and realized concrete interventions for people and cities protection. 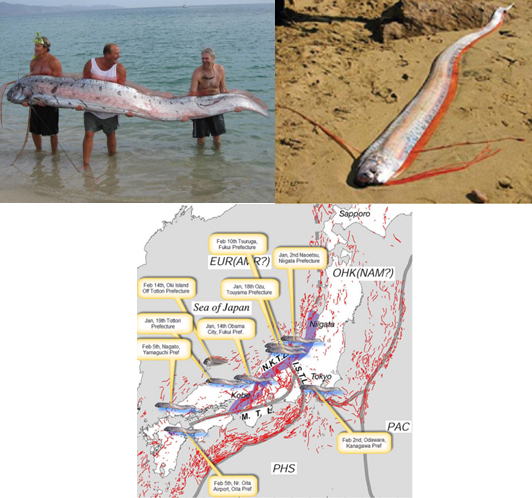 For all these reasons we particularly appreciate the researches and work of Terra Seismic and we know and estimate the scientists, managing this company. I personally think that their extraordinary achievements merit the acknowledgement of the Peace Nobel prize 2018 Nomination. As an expert in cultural heritage management, I foresee invaluable possibilities in the current earthquake detection potential of Terra Seismic, as well as their foreseen implementation plan of measures to prevent or offset damage to cultural heritage. Every year, countries spend enormous amounts of public and private money to restore heritage damage caused by these natural disasters. The value of that heritage is such that the benefits of doing so far exceeds the expenses. Any possibility of being able to adopt preventive measures would not only greatly reduce cost, but also save much heritage that would never be restored, and thereby would reside only in memory henceforth. The example of central Italy is dramatic and recent. Terra Seismic, therefore, provide the possibility not only to save human lives, but also their memory and their cultural values, from destruction.Please consider their nomination based on these and other benefits. Being Italian, earthquakes have always been part of my life. 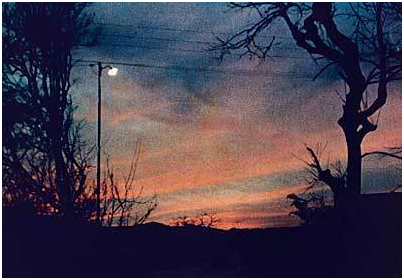 I still remember the shocking images of the consequences of the 1980 Irpinia earthquake. I was only 9 years old but the ruins and rubble, together with the crying mothers and fathers, that my young eyes saw on the news remained with me forever. I have known since a very young age, that earthquakes are merciless: they kill, and destroy, and ruin lives forever. When I came to know about Terra Seismic, I saw the possibility of saving lives, monuments and economies, here in Italy and in the whole world. This is the reason I would like to cast my vote for them. Earthquakes are a huge threat to most countries in the world. When the Wenchuan earthquake occurred in China, 69,227 people were killed, 374,643 people were injured, 17,923 people were missing, and the direct economic loss accounted to 845.1 billion RMB. The Chinese people still vividly remember the scenes how thousands of lives were destroyed and countless families fell apart. Since AD 132, Zhang Heng, a scientist during the Eastern Han Dynasty of China invented the world’s first "seismograph", scientists struggle to predict the occurrence of earthquakes accurately. 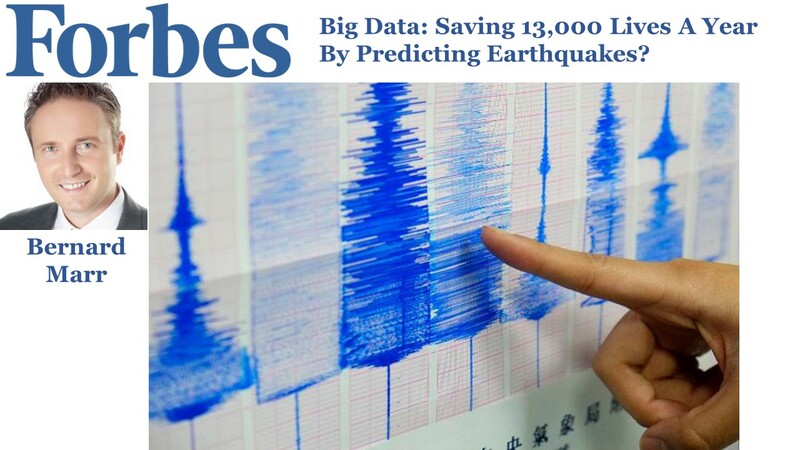 Terra Seismic’s successful prediction of earthquakes will deserve a Nobel Prize for Peace. 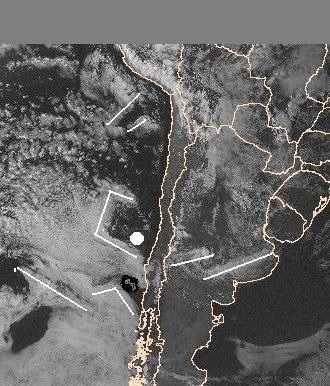 Living in Chile and after experiencing several major earthquakes (March 1885, February 2010 and September 2105) I am fully aware and strongly conscious about the threats and need of predictors regarding these disasters. I believe that anything that helps anticipating predicting or forecasting earthquakes, in order, to save lives deserves support and recognition. Terra Seismic has invested time and energy effort to deploy innovative technology for humanitarian purposes, so please let us recognized and continue to support Terra Seismic´s expansion to forecast threats to save lives and prevent casualties from infrastructure damage. I am not an expert in earthquake, but I work in an international NGO, and actually in the Universidad ******** as professor in law and also in some post graduate courses in human rights and cooperation. In my work experience I know the dramatically human, social and economic cost of a natural disaster. A way to prevent these kind of natural events can save millions of people and concentrate the cooperation work less in the emergency and more in long term impact activities. 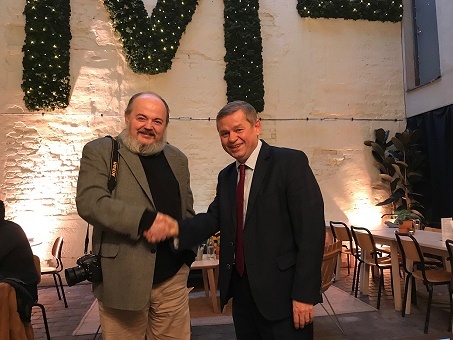 I had the opportunity to read some articles about Terra Seismic and talk with Mr Oleg Elshin, and I think that his job is very important and must be improved and recognized with a Nobel prize. Earthquakes and tsunami are the most awful and dangerous natural disasters. Terra Seismic activity will lead to the final stop to loss of human lives from abovementioned natural perils. Italy is a country which has suffered serious damage from earthquakes, which have left many dead and many other without a home and with serious difficulties rebuilding a life. Entire regions are suffering economic damage because of low tourism for fear of earthquakes. Predictive technology would mean much for my country. I hereby wish to register my support for Terra Seismic and its scientists to be awarded the Nobel Peace Prize 2018, for their extraordinary achievements in global earthquake forecasting, aspiration and humanitarian efforts to protect lives of more than five billion people living in seismic/tsunami prone areas. Until now, humanity always thought that earthquakes could not be predicted, and would never be predicted. Thanks to their exceptional expertise and their hard work, Terra Seismic and its scientists are proving that an accurate probability can be associated with predicting and the advent of an earthquake in the coming several months, in a given zone. 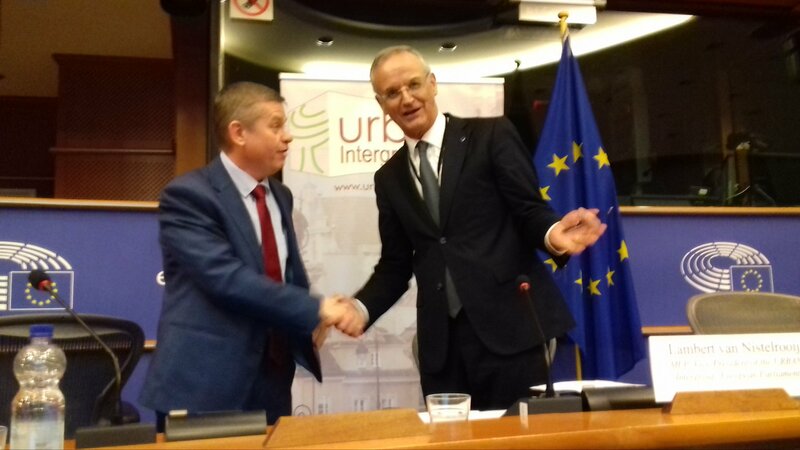 This will enables the population and the public authorities to take the necessary steps to avoid huge death tolls and damages in billions of Euros. Terra Seismic started to help governments in some of the most seismic regions of the world, and hopefully, with increased resources and recognition, they will be able to help all governments tomorrow. The work of Terra Seismic and its scientists is a milestone in the history of mankind, and it deserves to be recognized and supported. 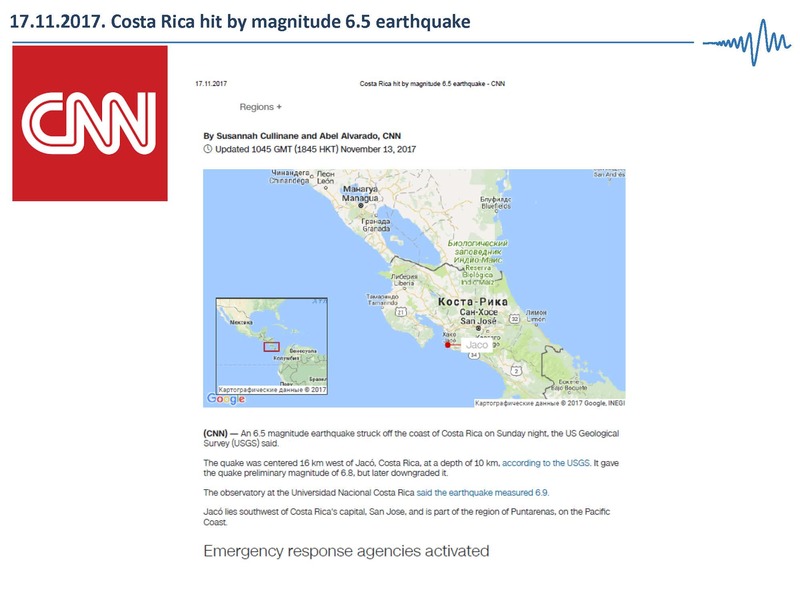 El Salvador is one of the most seismic prone countries in the world. 1986 San Salvador earthquake killed between 1,000 and 1,500 people, 10,000 were injured and over 200,000 were left homeless. I was very impressed by Terra Seismic presentation on why major earthquakes can be predicted and the Company’s global satellite earthquake forecasting technology. Mr Elshin showed me a few cases of recent major earthquakes in Italy, Mexico and historic cases of earthquakes in El Salvador in 1982 and 2001. Earthquakes are killing a lot of people and producing immense damage for my country and many countries across the world. Terra Seismic technology should be immediately used in all seismic prone countries. Terra Seismic historic discovery is exceptionally important for my country, billions of people globally and fully deserved Peace Nobel Prize. 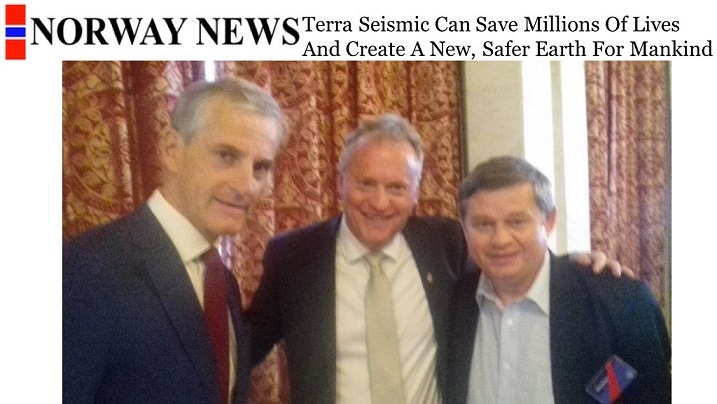 By giving undisputable Nobel Prize to Terra Seismic, Nobel Committee will help to quickly deploy Terra Seismic live-saving technology in El Salvador and all seismic prone countries. Thus, your decision will help to save millions of lives and prevent huge material damage. Good evening and greetings from India. India like many other nations resides on a highly active seismic zone, specially the Himalayan range in particular. India have also a long coastline and as per official records 10136 people died in India during the tsunami of 2004. 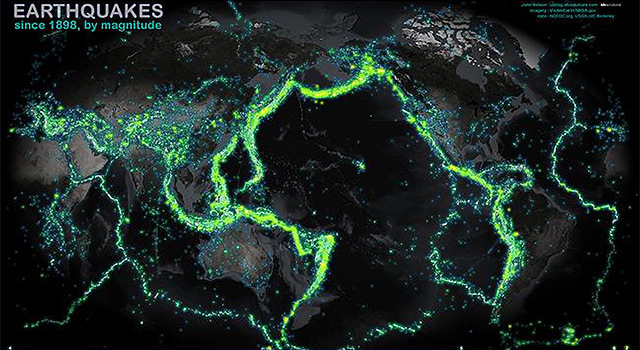 Globally also, each year there is an increase in seismic/tsunami occurrence. My previous employment was in Sikkim and I used to experience quakes every week sometimes every alternate days. I personally understand the fear of the people residing in a mountain state waiting for a major catastrophe to happen. Prior information and timely action by individuals and the Government will go a long way is saving lives. 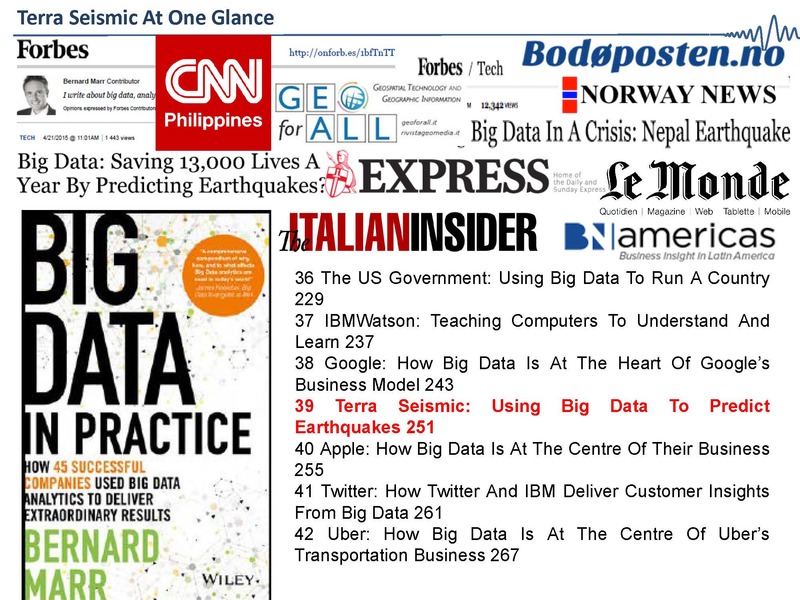 Terra Seismic was established in 2012 with the purpose of predicting natural disaster using Bid Data information. The Company received positive feedback about their work through two articles in Forbes magazine. 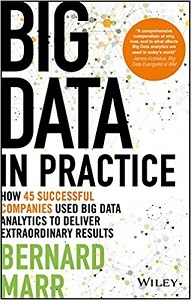 The company is also featured in a case study by the famous author Bernard Marr. It considers Terra Seismic’s case as important as ones of Google and Apple. The Company is also working towards developing relationships with Red Cross organizations in many countries for providing seismic information to help and improve disaster management. Awarding Terra Seismic and its scientists by well-deserved Peace Nobel Prize 2018 will create a unique opportunity to start saving human lives from earthquake and tsunami. Positive impactfor the Mankind, to be realized by earthquake forecasting by Terra Seismic, has potential almost unrivaled in the entire human history. Earthquake forecasting will save millions of lives, provide safety & protection for billions, and prevent huge material damage and most dangerous catastrophes, such as the explosion of the Fukushima nuclear plant in the aftermath of Tohoku earthquake in 2011. Today, it’s mostly important for each of us to work for better life of society and the world. It’s the way to peace. I do believe that this Team, their eagerness and motivation deserves to be directed towards saving of lives of people. The contribution made by Terra Seismic and its scientists constitute a huge step forward in Disaster Risk Reduction globally that allows policy makers, decision takers and first responder among others. For the first time in human history to work on the Disaster Preparedness Management with accurate scientific data to avoid major losses of human lives, infrastructure, food, water reservoirs and other sensitive resources from our communities. 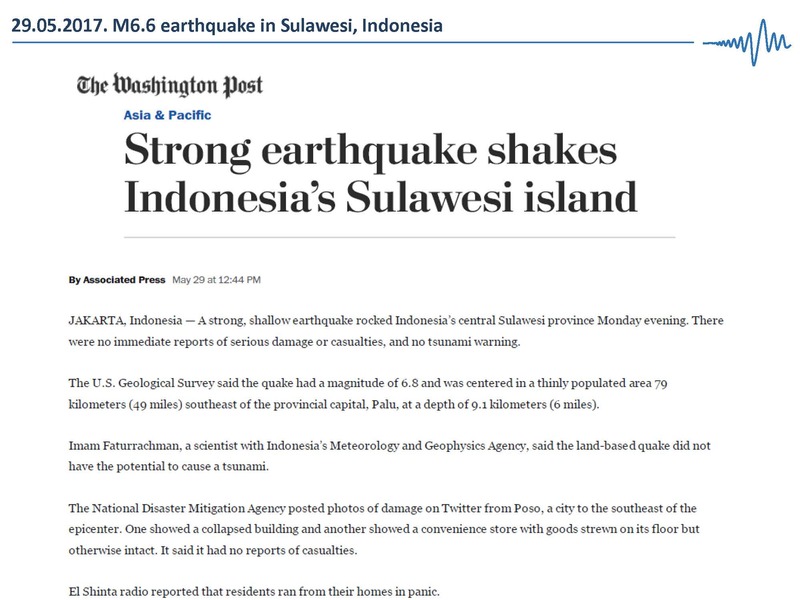 We cannot stop any seismic or tsunami coming to us but if we can forecast them in advance enough we´ll be able to prepare ourselves better and protect our sensitive resources within our communities better too and not to suffer major losses as occur in today's events. I firmly believe that Terra Seismic and its scientists are making significant contributions for humanity wellbeing making our world a safer place. For this reason, I support them to become nominees of the prestigious Peace Nobel Prize. 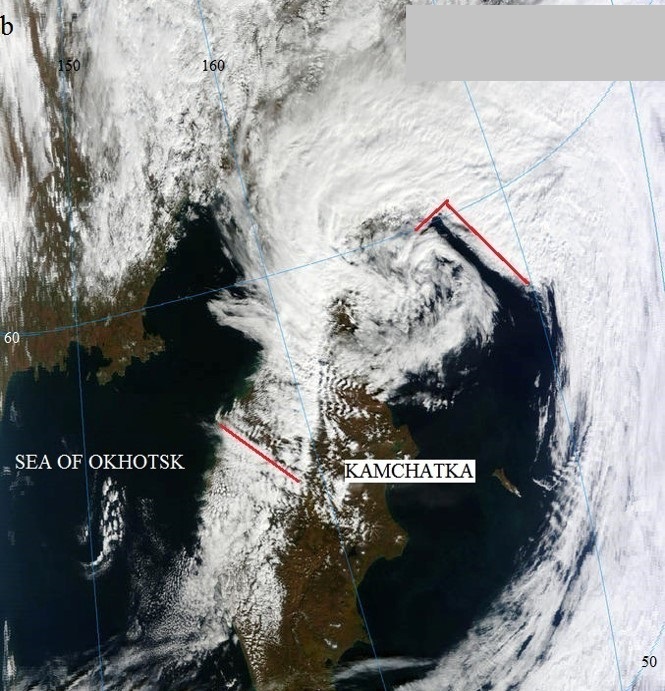 Earthquakes pose a huge problem for Kazakhstan and for all seismic/tsunami prone countries. For example, the 1911 Kebin earthquake struck Kazakhstan on 3 January. Registering at a 7.7 magnitude, it killed 452 people and destroyed more than 770 buildings in Almaty, our capital. We all remember the disastrous consequences of the 1966 and 1988 earthquakes in Tashkent, Uzbekistan, and Spitakh, Armenia. These are to name just a few. Earthquakes kill people, destroy their homes and produce enormous material damage. Therefore, Terra Seismic’s activity is exceptionally important for my country, the neighboring mountainous regions and for billions of people globally. International community should encourage and promote outstanding initiative like Terra Seismic, and Nobel Prize is obviously the best way of doing so. As a researcher, I have always been concerned about the number of people dying year after year and tremendous catastrophe that occur worldwide due to earthquakes and tsunami. 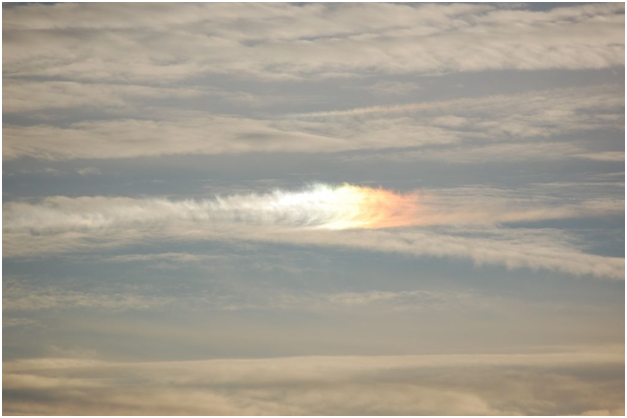 The question that I have always asked myself several times: why are we still unable to predict these natural phenomena despite of technological advances? Fortunately, I came across Terra Seismic. After collecting all the information about their work, I have got the answer to my concern: Yes, Terra Seismic efforts have made possible the prediction of catastrophic disasters like earthquakes and tsunami. Technologies and Nature have provided us the possibility to make predictions; and Terra Seismic has reached this objective. I understand the importance of being able to forecast earthquakes that will save lives and allow people to live in harmony with their environment trying to reach their wellbeing. From my point of view, the international community should reward Terra Seismic's efforts and encourage them to continue working in forecast of earthquakes and tsunami. They need the society support and encouragement that will motivate them to continue to save lives by their work. The Nobel Prize is that international support and recognition. 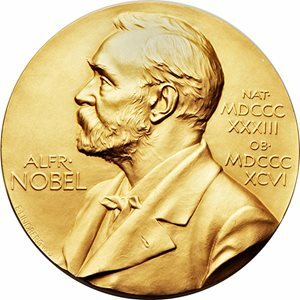 By creating Nobel Prize, Alfred Nobel dreamed that Nobel Prize should be a tool to reward & encourage solving of global problems and creating a better world. Terra Seismic Nobel Prize will be the historic and brilliant case for original idea of Nobel Prize founder. From humanistic point of view, we probably have two biggest positive developments in whole human history: discovery of antibiotics by Alexander Fleming and global earthquake forecasting by Terra Seismic. Using antibiotics saved millions of lives. By giving well deserved Nobel Prize to Terra Seismic, Nobel Committee members will start new era in human history and help to save millions of human lives from earthquakes & tsunami. Billions of people globally will support and will be very thankful for such exceptional humanistic decision. So, I hereby wish to register my support for Terra Seismic and its scientists. I do believe that they deserve to be awarded the Nobel Prize, 2018 for their extraordinary achievements in making earthquake predictions. Terra Seismic contribution allows to adopt preventive measures that save lives and provide safety and protection for billions of people. Besides, Terra Seismic activity contributes to prevent huge material damage and most dangerous catastrophes. Its effort is really important since it is an opportunity that we have to save human lives, to preserve buildings, heritage, monuments, and our ecosystem and life harmony. Such outstanding contribution of Terra Seismic deserves a Nobel Prize for Peace. Reading the company’s materials and achievement I believe to have gained a very clear understanding of its potential. For what I realized about the Terra Seismic solution, considering the 1970-2016 period, such a solution was able to detect about 90% of major earthquakes, including all major Italian earthquakes. That would have saved more than 700,000 human lives. For that reason, I cast my vote for Terra Seismic and its scientists for the Peace Nobel Prize 2018. I have analysed the different work made by Terra Seismic and I have to tell I am completely surprised and very proud of what they are doing for the world. With the technology and the way they analyse the different data they can predict earthquakes. Terra Seismic and its accuracy-enhancing big data analytics smells like “hope” for our planet, for billions of people. They can preserve historical buildings, prevent huge material damage, provide safety and protections, but the most important thing they can SAVE HUMAN LIVES. 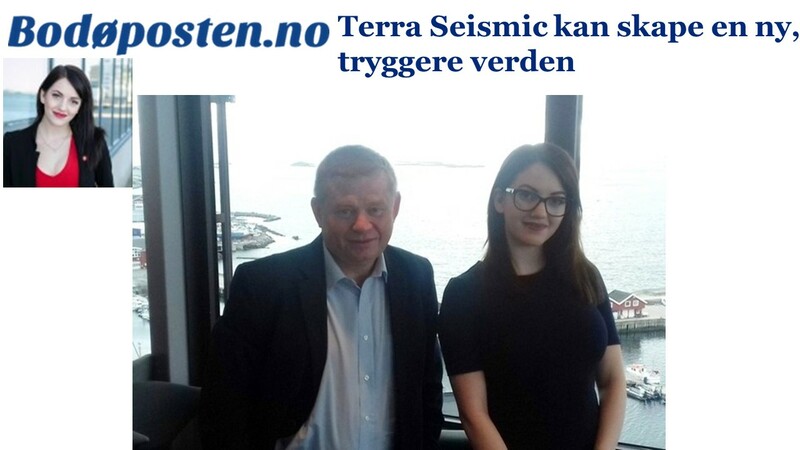 Having said that, I hereby wish to register my support for the company Terra Seismic and its scientists to be awarded the Nobel Prize, 2018 , “for their extraordinary achievements in global earthquake forecasting, aspiration and humanitarian efforts to protect lives of more than five billion people living in seismic/tsunami prone areas”. Such exceptional humanistic activity should deserve a Nobel Prize for Peace. As an Italian, earthquakes are unfortunately stable part of the history of my Country. 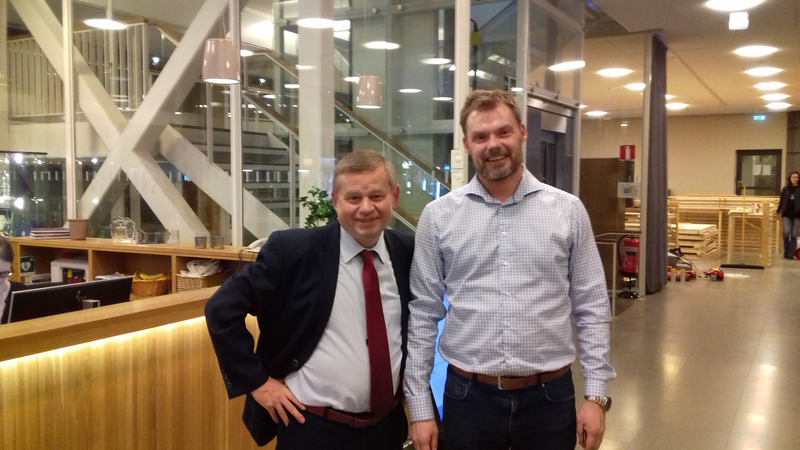 Even though I am a jurist, I have been impressed by the explanations of Mr. Elshin about the possibilities of predicting earthquakes and therefore I would like to cast my vote for Terra Seismic and its scientists. Reading the company’s materials and achievements I believe to have gained a very clear understanding of its potential. For what I realized the Terra Seismic platform, was able to detect about 90% of major earthquakes in the last years. For that reason, I cast my vote for Terra Seismic and its scientists for the Peace Nobel Prize 2018. 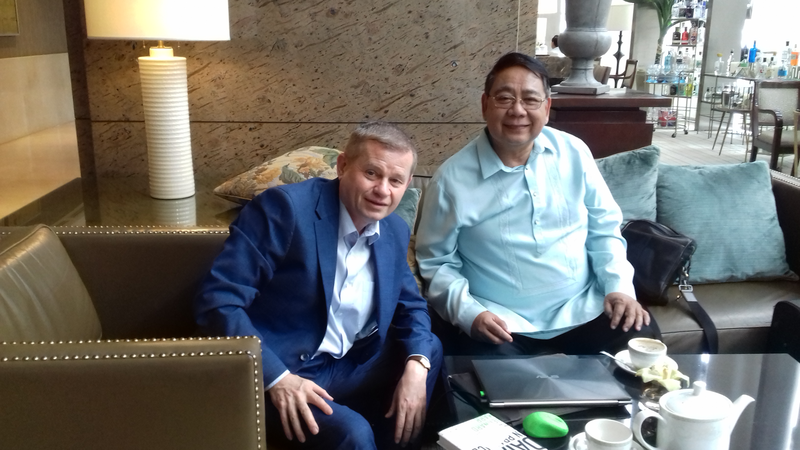 Although I am not an expert in earthquake forecasting, as an economist I believe that Terra Seismic has a solid business case characterized by path-breaking innovation and vision. If Terra Seismic is awarded the 2018 Nobel Peace Prize, it will gain great brand recognition. There will also be a very positive impact on humankind as the business activities of Terra Seismic aim at preventing and substantially reducing human loss, suffering and conflictual situations arising from earthquakes. On these grounds, the award of the 2018 Nobel Peace Prize to Terra Seismic and its main executives may also have a very significant and positive impact on world peace. Let me support Terra Seismic and its scientists, who will be awarded the Nobel Peace Prize in 2018 for their efforts to reach extraordinary achievements in the global prediction of earthquakes, aspirations and humanitarian efforts to protect the lives of more than five billion people living in seismic regions. I am not an expert in this field, but I can say that earthquakes lead to terrible consequences, a huge number of victims, material damage and destructive impact on the human environment. I hope that the activities of Terra Seismic will protect humanity from earthquakes as dangerous natural disasters. A part of the essential function of protecting more than 5 billion of Human Lives for itself that the activity of predicting earthquakes of Terra Seismic makes possible. It means the development of a pioneer activity on the set of the crescent industry of Social Technology. In a World which a Multi-Polar New Order starts to be consolidated, the activities of Terra Seismic (that a pioneer in Social technology) and all Social technology innovations will be more and more requested and essential for the sustainable development and World Peace. So as a part the essential Humanitarian effort to protect Lives the Work of Terra Seismic represents for itself, the attribution of Nobel Prize to Terra Seismic and its scientists will be a recognition of the Academy for the importance of these activities on the New World Order Reality that starts to be configured, so as the Social Technology itself, and will incentive governments and centers of research to invest on these areas of Social Technology. We will need to invest more in infrastructure and agriculture than in weapons and defense. In this context, the Social Technology that Terra Seismic activities is a pioneer, competent researchers and work as Terra Seismic and its scientists' work are, will be needed to start from now on these moments of transition of World Economic and Social Order. So attribute the Nobel Prize for Terra Seismic and its scientists, more than recognize their Humanitarian character of their work of itself it recognizes the importance on investment of governments and private sector on the Research and incentive the creation of Chains of Production on Social Technology industry itself that it´ll be essential for the sustainable development and World Peace on the context of the XXI Century Socio-Economic and Geopolitical Configuration. As a native of Haiti, I strongly support Terra Seismic work and I believe that earthquakes are a major threat for the developing world. Therefore, Terra Seismic is an institution that can forecast them and can help local authorities take the right measures to reduce casualties and other economic consequences that their countries may suffer in the aftermath of the quakes. If Terra Seismic and its scientists win this prize, I am absolutely positive that Terra Seismic will be an important asset for the world, while continuing to achieve more than they already did. Governments, businesses and civil society together with the United Nations are mobilizing efforts to achieve the Sustainable Development Agenda by 2030. Universal, inclusive and indivisible, the Agenda calls for action by all countries to improve the lives of people everywhere. Today our world needs more safety, prosperity, peace and partnership. First safety of planet is the most important factor to realize all other goals and consolidate partnership for peace and prosperity. Beginning with this we can understand how important is to contribute for safety of millions of lives. Herein earthquakes and tsunamis are number one global natural disaster. They killed 800,000 people just over last 25 years and hundreds of millions more people were affected. If to take into account that the right to live for everyone is the main human right then we indeed need to solve earthquake problem for the safe of millions of lives in the future. Therefore, we can say that all efforts in this direction are contributions to the human rights and achieving sustainable development goals and transforming our world to the mostly safe, peaceful and sturdy environment. From this perspective, Terra Seismic is the most important candidate that Nobel Prizes should be awarded. Because Alfred Nobel’s Will was that Nobel Prizes should be awarded for “the most important discovery or invention” and “to those who, during the preceding year, shall have conferred the greatest benefit to mankind”. Terra Seismic discovery that major earthquakes can be predicted is the brilliant historic fit with Alfred Nobel’s Will. Furthermore “Transforming our world: the 2030 Agenda for Sustainable” is a plan of action for people, planet and prosperity. It also seeks to strengthen universal peace in larger freedom. Eradicating poverty in all its forms and dimensions, including extreme poverty, is the greatest global challenge and an indispensable requirement for sustainable development. All countries and all stakeholders, acting in collaborative partnership, will implement this plan. All countries resolved to free the human race from the tyranny of poverty and determined to take the bold and transformative steps which are urgently needed to shift the world on to a sustainable and resilient path. The 17 Sustainable Development Goals and 169 targets which are announced demonstrate the scale and ambition of this new universal Agenda. They seek to build on the Millennium Development Goals and complete what they did not achieve. They seek to realize the human rights of all and to achieve gender equality and the empowerment of all women and girls. They are integrated and indivisible and balance the three dimensions of sustainable development: the economic, social and environmental. 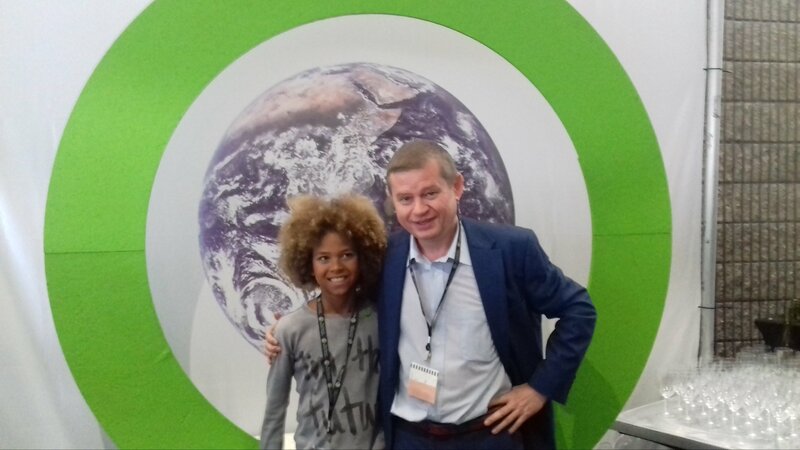 The Goals and targets will stimulate action over the next 15 years in areas of critical importance for humanity and the planet. We (the People of the world) need to meet above challenges beginning by protecting millions of lives. So, I strongly believe that Eradicating earthquake danger from our Planet is exceptionally important and hugely positive for Mankind. In this regard, I recommend Terra Seismic and strongly support its Nominee to such highest award Nobel Prize. I’m a Slovenian and although in recent years major earthquakes have avoided Slovenia, this was not the case in more distant history. There were examples of devastating earthquakes in nearby geographical areas so the devastation caused by the earthquake is quite familiar to me. That is why I’m greatly honored to support Terra Seismic in the attempt to win the Nobel Peace Prize 2018. In addition, being an economist and a professor in the field of management, I also understand the economic consequences of earthquakes. Although money in unimportant compared to the direct losses of human lives, the negative economic consequences of earthquakes are enormous. I’m impressed by the work done by Terra Seismic. To have possibilities to predict earthquakes is of crucial importance and this is why I think Terra Seismic and its scientists deserve to be awarded the Nobel Peace Prize 2018. Earthquakes and tsunamis are a major threat to mankind. Being able to forecast future earthquakes/tsunamis allows us to hedge future damages. Although consequences for livestock and the environment in the long run have to be considered too, their initiative is a great start! 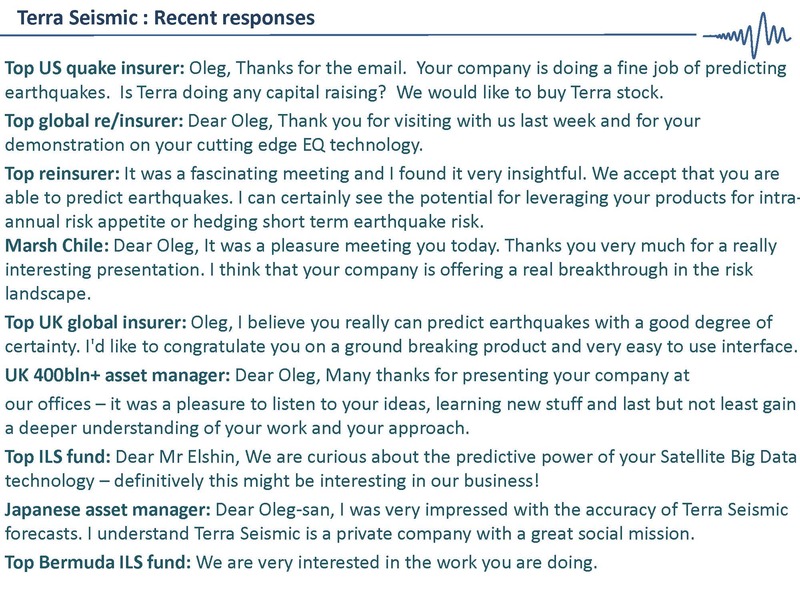 As a professor of risk management, insurance and reinsurance I am delightful to nominate Terra Seismic and its scientists for their great work on earthquake forecasting. Earthquakes are catastrophic risks that in modern times are the cause of loss of hundreds of thousands lives and billions of property value. Since San Francisco earthquake of 1906 we are witnessing the devastating effect of earthquakes. In addition to loss of human lives and property, earthquakes devastate the economic growth, which makes harder and slower recovery. Insurance industry is at the first line of devastation but insurance cannot recover loss of human lives. Tsunamis and fires caused by earthquakes cause even more losses of lives. If the exact time of earthquakes would be known there will be no more or the number of deaths caused by earthquakes will be significantly reduced. Knowing not only that earthquakes will eventually happen sometime, but knowing when is the innovative solution made by Terra Seismic and its founders. That is the reason why I nominate Terra Seismic and its scientists for Peace Nobel Prize. Turkey is among the countries most affected by disasters on a global scale due to its tectonic, seismic, topographic and climactic structure. Turkey is in the ninth place in the world with regard to human losses in earthquakes, and on the fifth place in terms of the total number of people affected. Turkey sees an average of one earthquake with a magnitude of 5 to 6 every year. A look at a seismic zone map reveals that 70% of Turkey’s lands and 76% of its industrial facilities are on first and second-degree seismic hazard zones. On average, around 1000 people lose their lives and 9000 residences suffer damages in disasters every year. In Turkey, since 1950 almost 34,000 citizens have lost their lives only due to earthquakes. According to statistics from the last 60 years, direct and indirect economic losses caused by disasters correspond to 3% of the GNP. 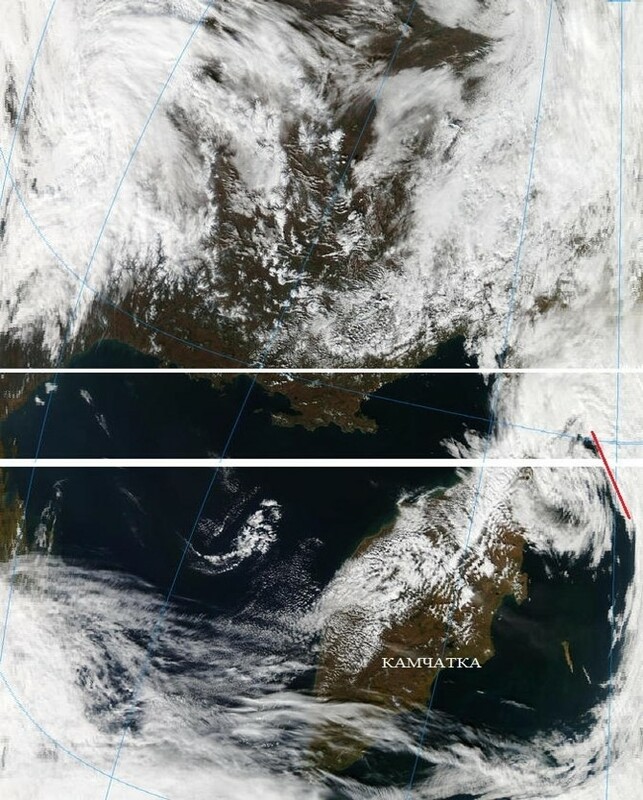 This shows the importance of disaster management for Turkey. Also, we are expecting a very big earthquake (around 7.2) in Istanbul in next 10 years that is going to affect us and my country very badly. On the other hand, earthquake & tsunami are the most dangerous hazard all over the World too. Millions of people have died because of earthquake & tsunami for centuries. Also, they destroyed houses, infrastructures etc. Except for human loss, they cause millions of dollars loss to economies and to insurance & reinsurance companies. From every perspective, earthquake, and tsunami are the very important issues for the World. So big importance of these topics for the World and my country, I am following the work have been doing by Terra Seismic and its scientists very closely. I have analyzed their work and I felt excited how they were successful to guess the earthquake months before. Also it was very impressive how they were able to reduce impacts of earthquakes in the countries. I hope their works and contribution to this area will help to reduce impacts of earthquake and tsunami in the World and in my country and in my city, Istanbul. Also, I hope they will save more human lives, history of the World and economy. Having said that, I hereby wish to register my support for Terra Seismic and its scientists to be awarded the Nobel Peace Prize 2018. Earthquakes have taken many lives, and those people who cannot afford to move to the safer places or who cannot enjoy the timely warning suffer the most. The economic consequences of earthquakes are tremendous. The moral sufferings of people who lose their children and natives due to badly forecasted earthquakes cannot be measured. 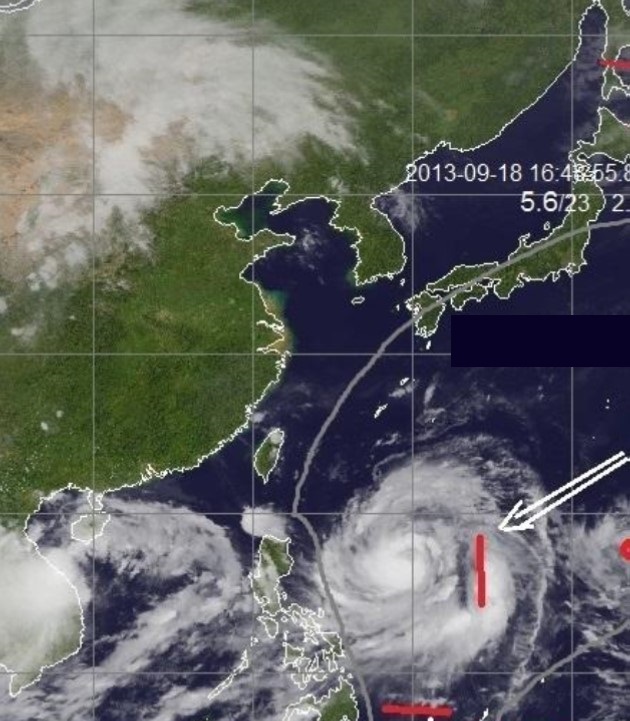 If some bright minds have combined the complex mathematics with the update technologies and have learned to listen to the hundreds thousands of signals sent by the Earth warning about the upcoming disaster, this deserves the highest acknowledgment from the people of the Earth. I wish to support Terra Seismic and its scientists Nobel Peace Prize 2018 candidacy for their extraordinary achievements in global earthquake forecasting. Their work is a practical case of a humanitarian effort to protect lives of more than five billion people living in seismic/tsunami prone areas. As an Italian, earthquakes are part of my life. Earthquakes are merciless: they kill, and destroy, and ruin lives forever. Terra Seismic technologies can save lives, monuments and economies all over the world. The International community should encourage and promote outstanding initiatives like the one promoted by Terra Seismic, and the Nobel Prize is obviously the best way of doing so. With its financial help and the press coverage the Prize generates the company will be able to gain support from other investors and expand and improve its activities. Earthquakes and related disasters like tsunami are responsible every year and around the planet for huge losses of human lives. Additionally, they cause massive damages and irreparable losses to human livelihood, including houses, fields, productive establishments, infrastructures, heritage of cultural and historical value, natural ecosystem etc. As а consequence, even survivors experience losses of financial, human and social capital that affects their existence in multiple ways and over а long period of time. One of the reasons why earthquakes/tsunami have such catastrophic effects is that their onset are sudden and local populations are unprepared to respond or mitigate these effects. However, the nominees have deployed а research-based system that allows forecasting the occurrence of such events, with sufficient notice to put in place preventative measures to minimise the loss of human lives, along with the other negative consequences mentioned above. While I am not an expert in seismology, one of my areas of professional competence is artificial intelligence, including Big data. This is why I do understand the underlying premises to the nominees' forecasting system. Besides, during our meeting, one of the nominees illustrated this system to me very clearly and persuasively, using multiple cases, including some that recently befell my home country of Italy. I can add in passing that many members of my family, including myself, have been actively volunteering with the Italian Red Cross, both in Italy and internationally, for many years now. After witnessing and hearing first hand reports from missions in war-torn regions and in areas hit bу natural catastrophes, it is clear to me that the amount of human suffering in both cases is sadly comparable. I believe that the moral case in support of an earthquake forecasting system is compelling and I consider the value to mankind of such system immensurable, and surely worthy of the highest of accolades. For contribution to the solving the global tasks: to forecast global earthquakes and to save millions human lives. I hereby wish to register my support for Terra Seismic, and its scientists to be awarded the Nobel Peace Prize 2018, “for their extraordinary achievements in global earthquake forecasting, aspiration and humanitarian efforts to protect lives of more than five billion people living in seismic/tsunami prone areas”. I am not an expert in earthquake forecasting. However, I can evaluate achievements of the Terra Seismic and its scientists from the point of view of social sciences and humanities because any revolutions in science and technologies have social and human dimensions. 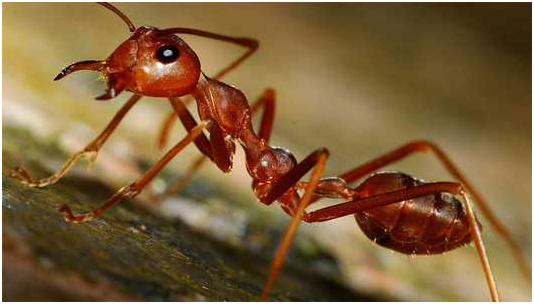 The disasters and catastrophes not only kill people and destroy their habitat. The consequences might have long-term character: it means to move to another place, to lose job, to be refugee, to find money for rehabilitation of the destroyed place, and so on. So, the scientific and technological issues - earthquake forecasting - become the global humanitarian issues. We live in the technogenic civilization. The futurologists say that the coming new civilization will be an Anthropogenic civilization or Epoch of global humanism where the human being, his life, and humanism will be the main aim of this civilization, the main criteria of evaluations of all decisions and actions. The achievements of Terra Seismic and its scientists can be considered as a step to the coming Global Humanism Epoch because they help to save millions human lives. I think that kind of noble aspiration deserves a Nobel Prize for Peace. Central Asia is a home for over 70 million of people and also one of the world’s most seismically active regions. During last century three of region’s countries capitals were hit by major earthquakes. The 1911 Kebin earthquake, killed 452 people, destroyed more than 770 buildings in Almaty, Kazakhstan. 1948 Ashgabat earthquake casualties’ estimates are between 10,000 and 110,000, equivalent to almost 10% of the Turkmen SSR's population at the time. 1966 Tashkent earthquake caused massive destruction to Tashkent, killing up to 200 people and leaving 300,000 homeless. Earthquakes are recurring events and future major earthquakes maybe much more tragic for our region due to population growth and higher density of population in our cities. Terra Seismic’s forecasting technology and humanitarian efforts will save untold lives in Central Asia and globally. Such exceptional historic scientific achievement and humanistic activity should deserve a Nobel Prize for Peace. Terra Seismic Company is specialized in prediction of the earthquakes. I have been tracking its achievement related to the process. I have survived the 1999 lzmit earthquake. lt was а shocking experience and I have seen so many victims. I believe that Mr. Elshin and Terra Seismic company will bring out а hope for more survivors in future earthquakes. lf we have enough time we can prepare for such disasters. I believe that Terra Seismic will deserve this award. Terra Seismic work is a beacon of hope for people in Haiti. The last killer earthquake of 2010 fell on us in Haiti like the end of the world, without warning, leaving us hopeless and powerless. We have lost it all. And mostly hope on how to face the next catastrophe without losing that much. If their work can help anticipate and mitigate the risk factors ahead of time on locations most at risk, this could be a game-changer and a lifeline to millions in Haiti. I hereby submit my Nomination for Terra Seismic and its scientists for the Nobel Peace Prize. 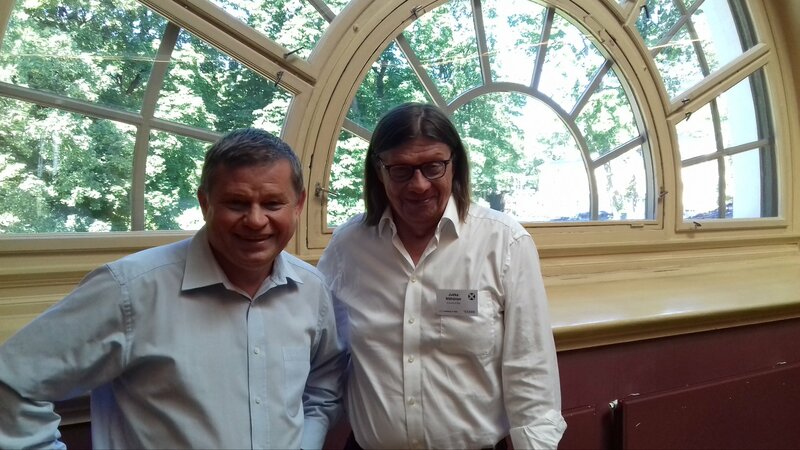 The nature, scope and methods of earthquake prediction are complex; however, this group of scientists is at the cutting edge of probability theory and earthquake prediction. While I am a Humanist, a Philosopher, and not a Geologist, I judge their research, work, and ongoing concerns to be worthy of such a prize. After more than a two decades helping companies to disrupt their industries, I found in Terra Seismic work, one of the most inspiring purposes with a huge positive impact for the mankind, it has the potential to become one of great "quantic jump" of the human history, as the printing press or space conquer. Earthquake forecasting will save millions of lives and provide a more predictable and secure future for people. I live in Kashmir and my region is one of the most seismic prone regions in the world. Just recently, in 2005 Kashmir experienced one of the worst earthquakes ever. It had a magnitude of 7.6. It killed over 100,000 people; over 138,000 people were injured; 3.5 million left homeless and 19,000 children died in this tragic earthquake, most of them in widespread collapses of school buildings. We saw people and children die under debris and family lose everything that they once owned. The aftershocks lasted 6 months and we were unable to sleep for months after the episode. People suffer from PTSD even today. We still get earthquakes of lower magnitudes almost every year and suffer losses. We constantly live in a state of anxiety and uncertainty. Given the sort of life we live and the experiences that we have had, I think that this is a great service to mankind. I strongly hold the opinion that they should be considered for the Nobel Peace Prize 2018. 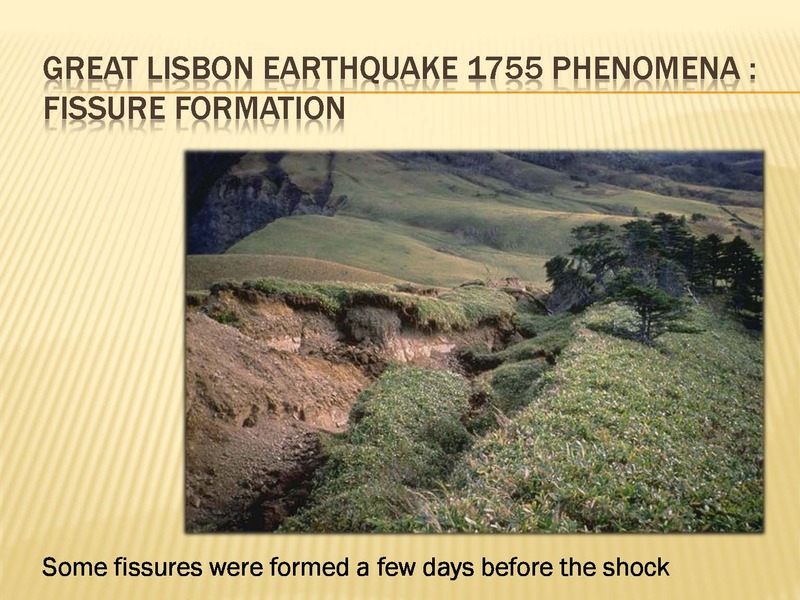 Terra Seismic will greatly mitigate and then eradicate earthquake danger from our planet. The Company’s global earthquake forecasting technology should be immediately used in all seismic prone countries. Well-deserved Nobel Prize will help to promptly bring this exceptionally humanistic technology to all seismic prone regions, including developing and poor countries. The Company activity is fatefully important for my country and for billions of people globally since Terra Seismic could save millions of lives in this century from earthquakes and tsunami. Such exceptional historic discovery, work and global humanistic activity absolutely deserves to be awarded by 2018 Peace Nobel Prize. Our paramount priority is save human lives, protect billions of people, and mitigate economic damage produced by earthquakes & tsunamis. Today we are selling our services to insurers & corporates and use our revenue to develop new, more advanced forecasting systems. 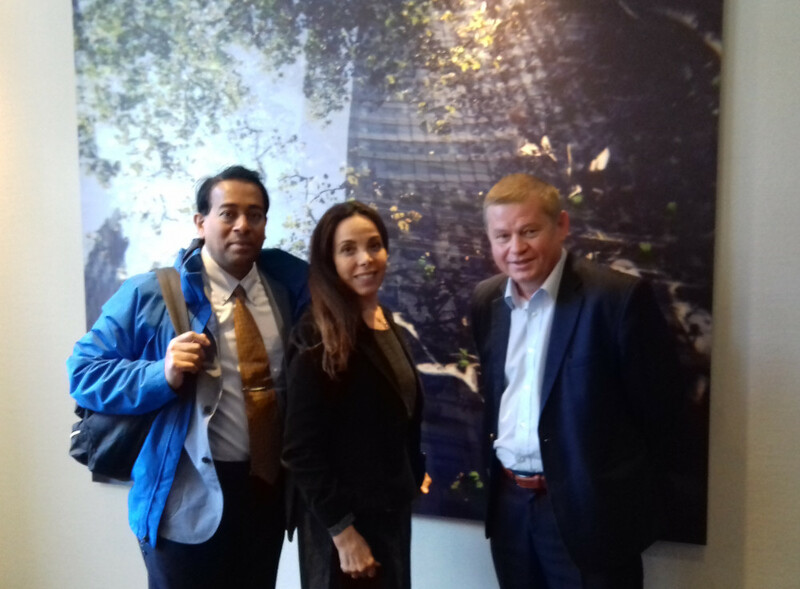 Terra Seismic scientific priority is established and undisputable after two Forbes articles, BNamericas, Le Monde and other articles were published in 2015. Bernard Marr, a famous best-selling author, wrote a book with Terra Seismic’s case. In this book Terra Seismic’s case is located between Google’s and Apple’s cases. We call for cooperation with all governments, Red Cross organizations and all entities who are responsible for mitigating earthquake & tsunami risk. Terra Seismic develops an action plan that should be implemented before major quakes. According to this plan the governments need to examine and reinforce the critical and important infrastructure in the areas of a forthcoming quakes – hospitals, schools, cultural heritage buildings, etc. It’s estimated that millions of effective investments in loss prevention measures before earthquakes will save billions that usually spent for recovery after earthquakes. So, thanks to Terra Seismic trillions of economic damage produced by quakes/tsunamis will be prevented and these huge saved funds will be used for other purposes. The Company makes presentation and consults of governments, i.e. San Marino Republic Government. Terra Seismic is also launching global humanitarian projects to educate billions of people in seismic prone areas about natural precursors before major quakes to be better prepared and save human lives. Nobel Prize will create a unique chance to promptly expand Terra Seismic humanistic technology across all 100+ seismic prone countries. 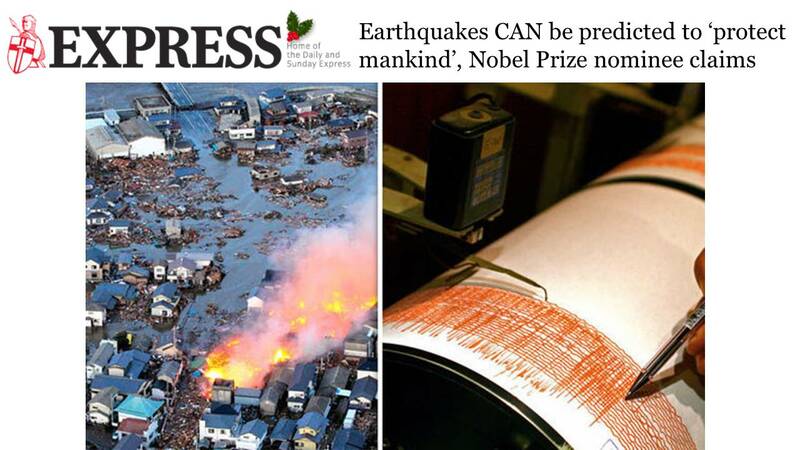 We deserve this Prize, but we also need Nobel Prize as a very powerful tool to resolve earthquake & tsunami problem. 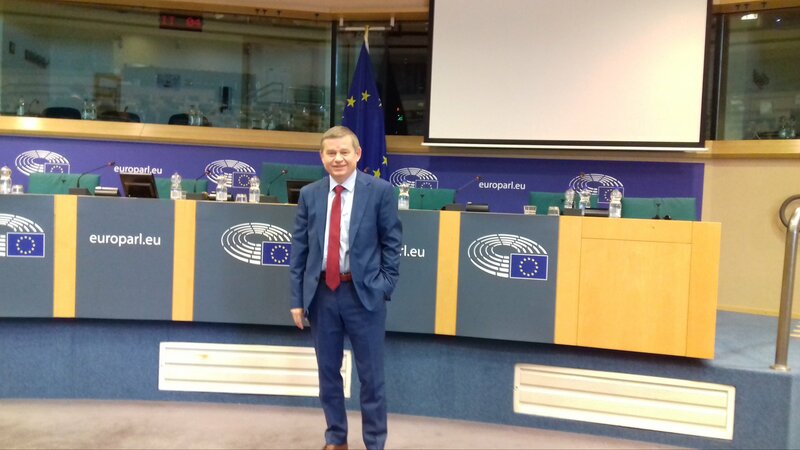 After we get this Prize we will have the capacity to invest billions in further research and people protection measures. Then, earthquake/tsunami danger will be greatly mitigated globally just within next 2-5 years and forever. 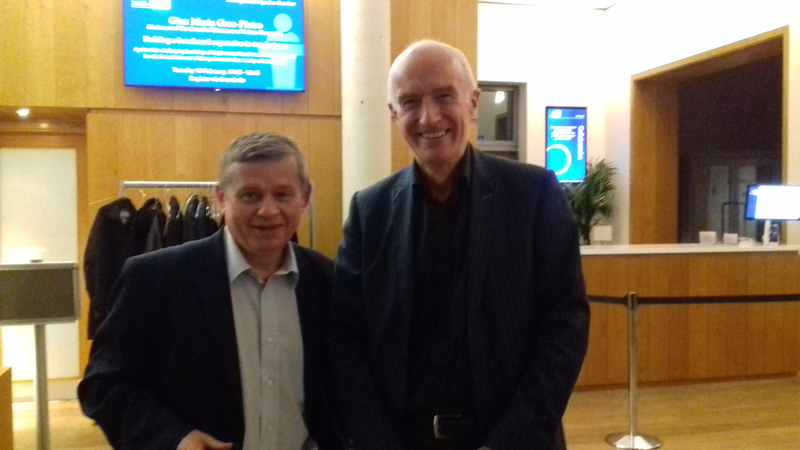 We enjoy unprecedented global support for our Nobel Prize nomination from university professors. But, we believe that billions of people will support us as well. Thus, now we are calling for public support. You can help us to fulfill our great global humanistic mission. We ask you to support our Nobel nomination and send short supporting email to Norwegian Peace Nobel Prize Committee to postmaster@nobel.no or by filling below form. Billions of people will be grateful to you. Thank you! 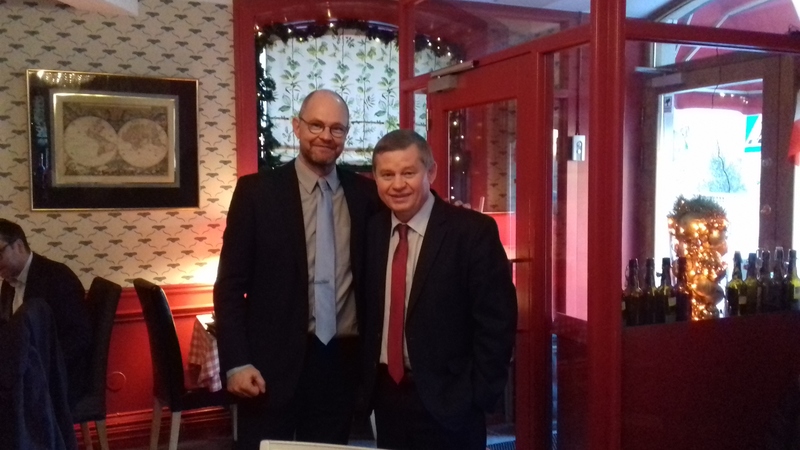 Very nice to meet Lars Andersson MP Sweden Democrats in Stockholm Lars deeply understands and supports our work! 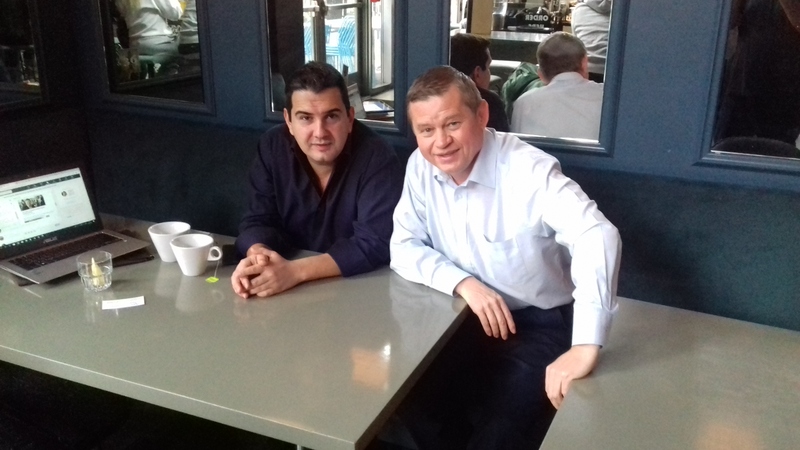 Great to meet in Los Angeles and discuss coopera-tion with Marios Panagiotou founder of online School of Earthquake Resilient Design! Engineers can quickly understand each other! 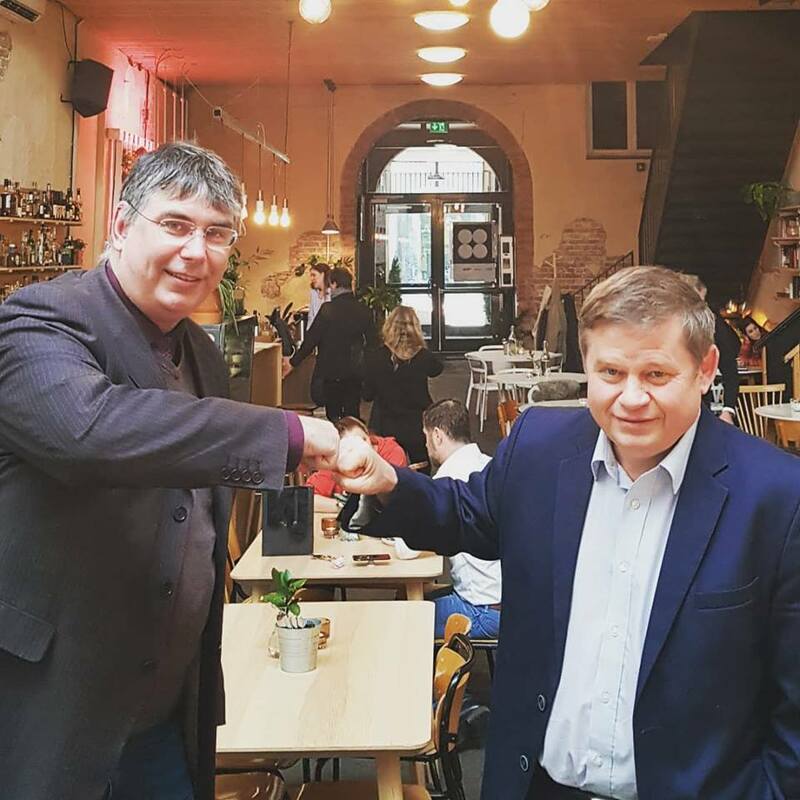 Oslo Mesh Café 11th April 2018 Jan Erik Horgen Owner at Horgen Consulting - It was my great honor to meet with Nobel Prize nominee Oleg Elshin today Oleg is the creator of a system that predicts and warns catastrophic earthquakes with high accuracy It will save millions of lives and billions of dollars for humanity globally No wonder he is nominated – what an excellent use of science big data and ingenuity for the betterment of mankind!